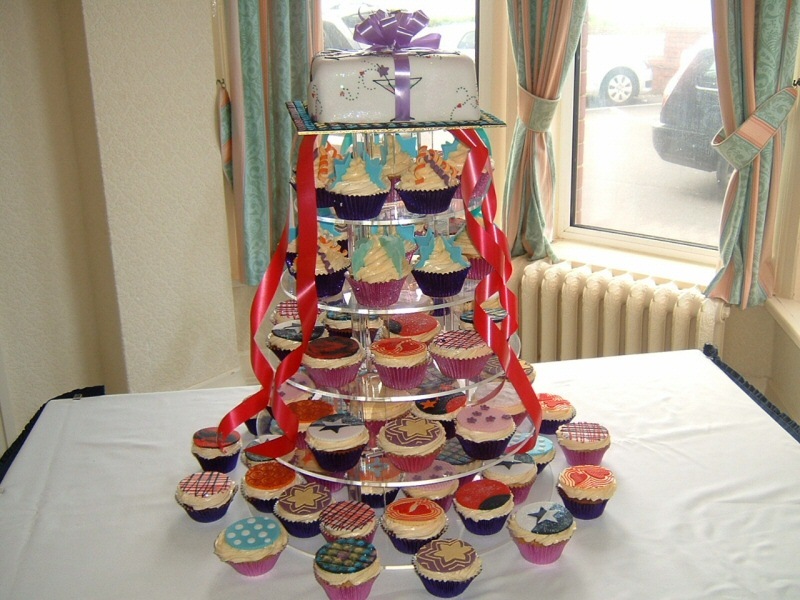 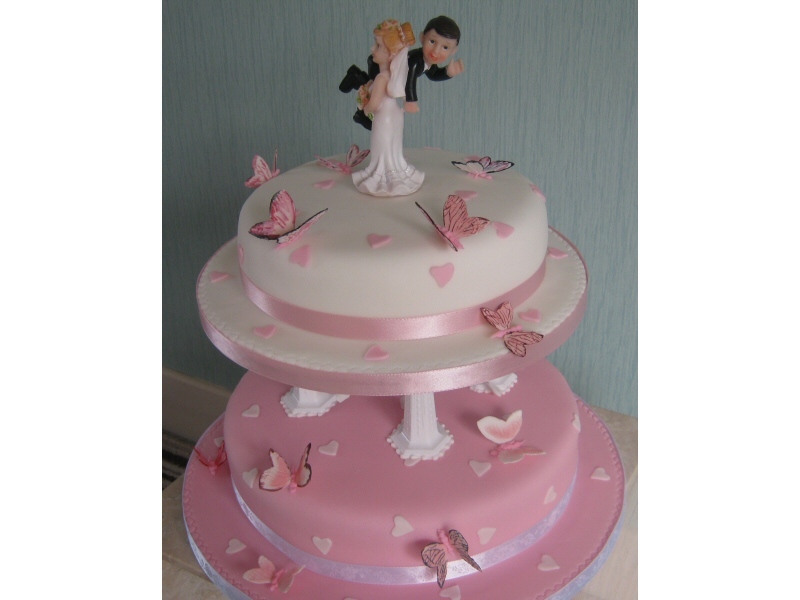 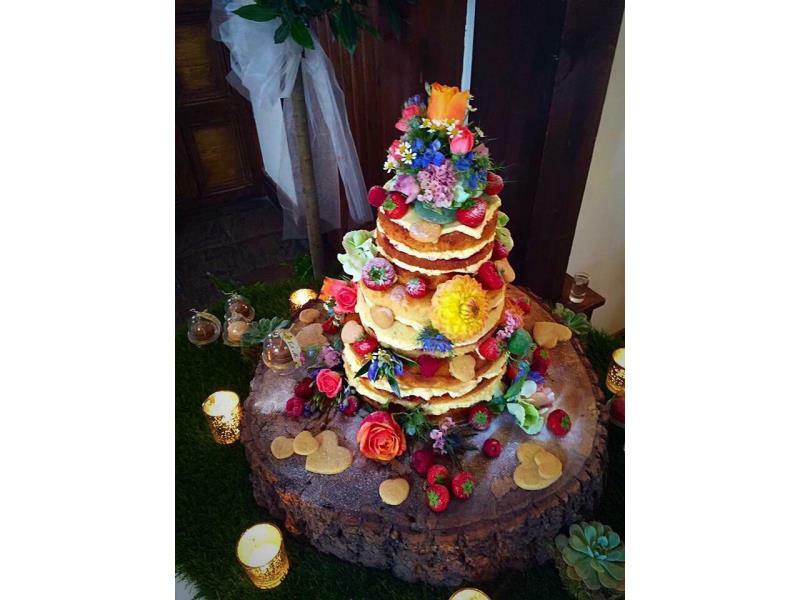 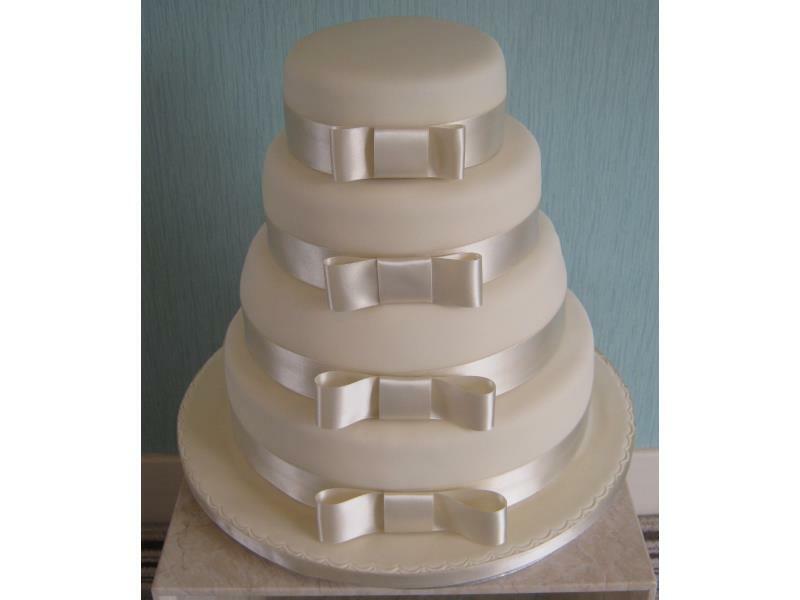 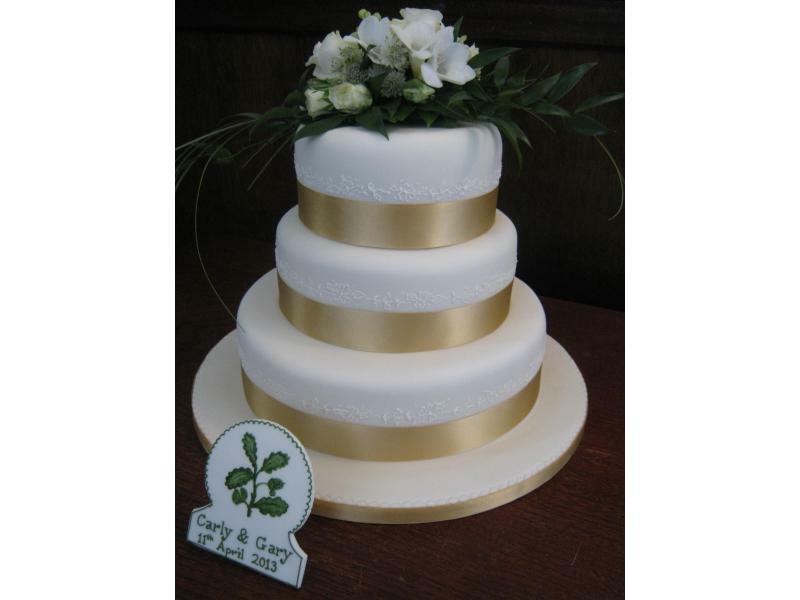 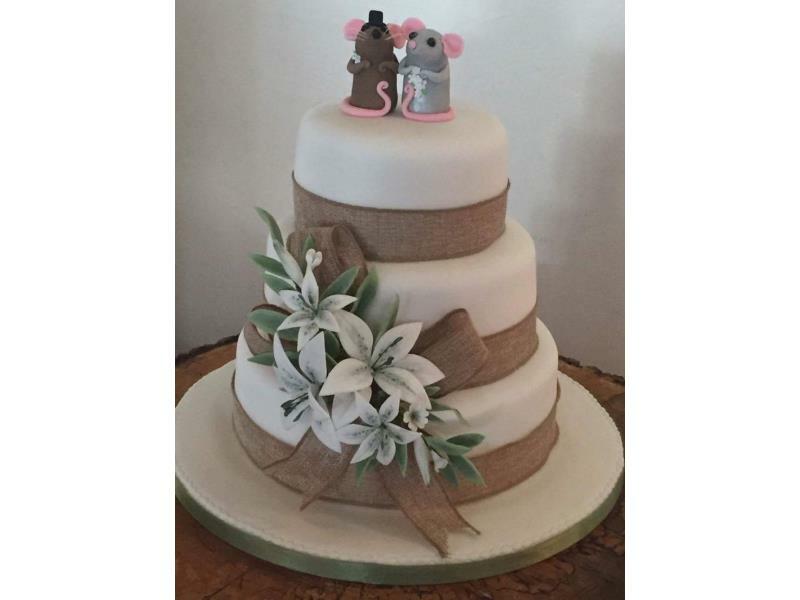 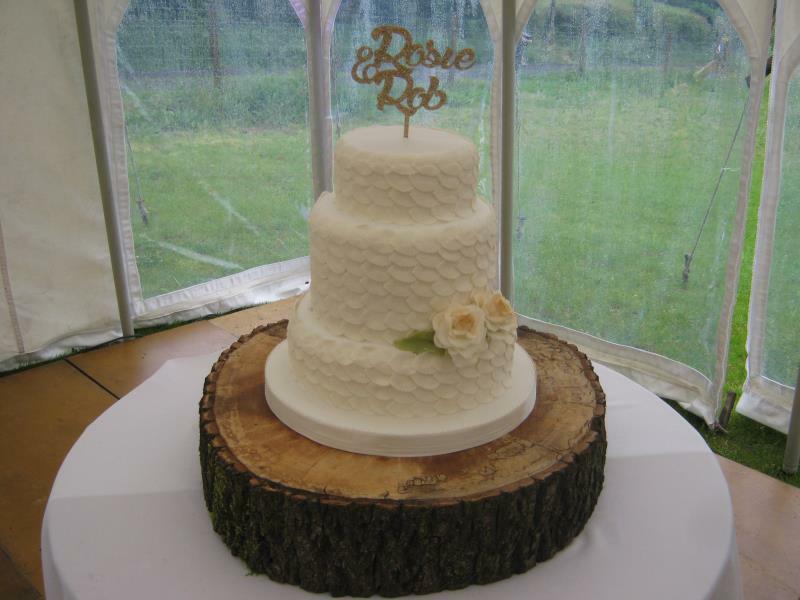 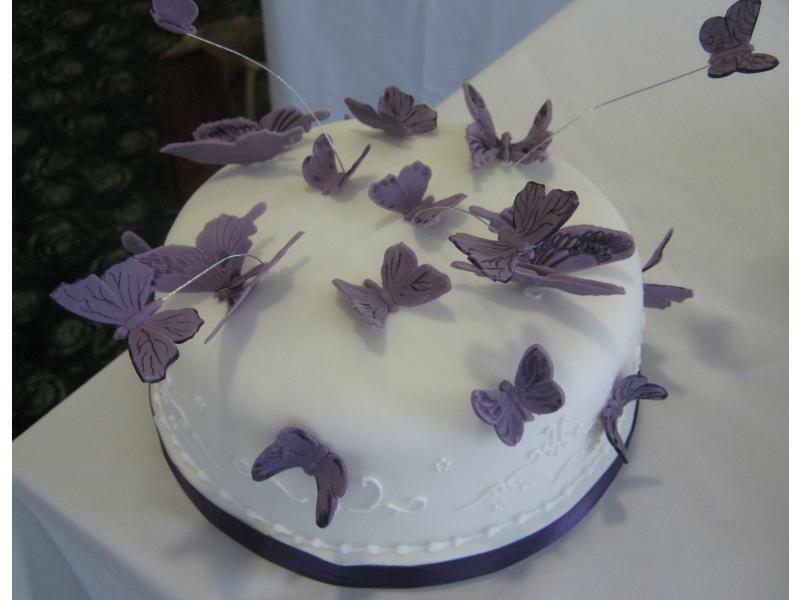 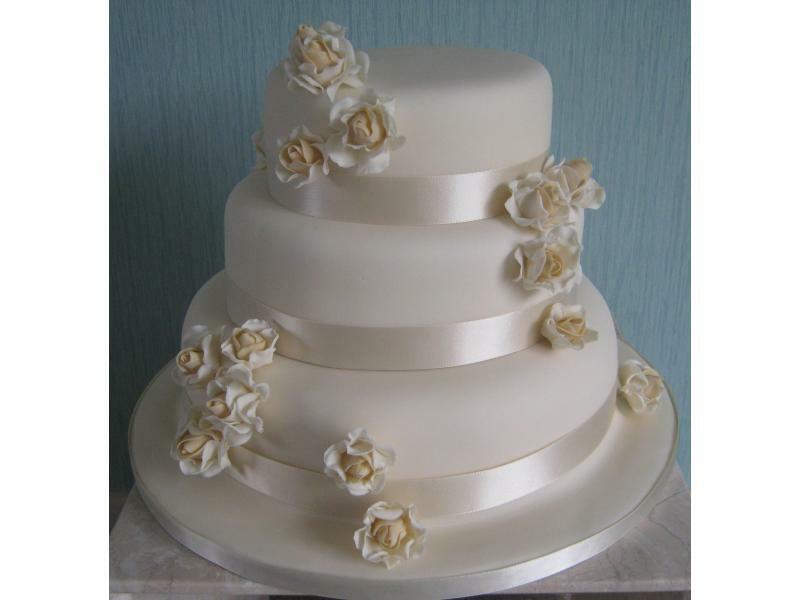 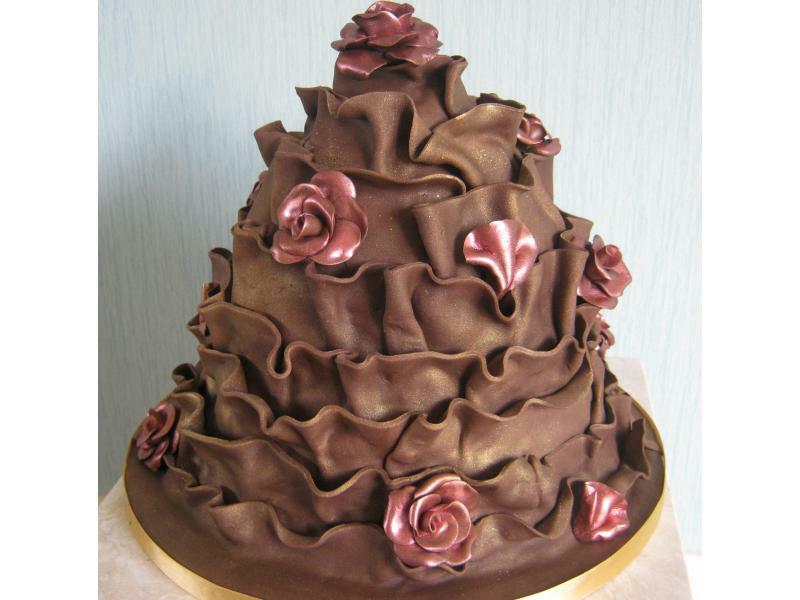 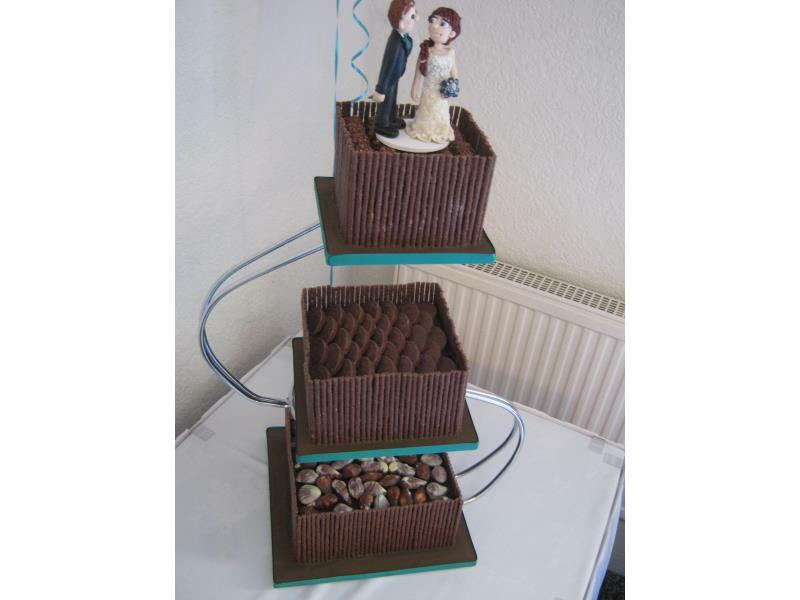 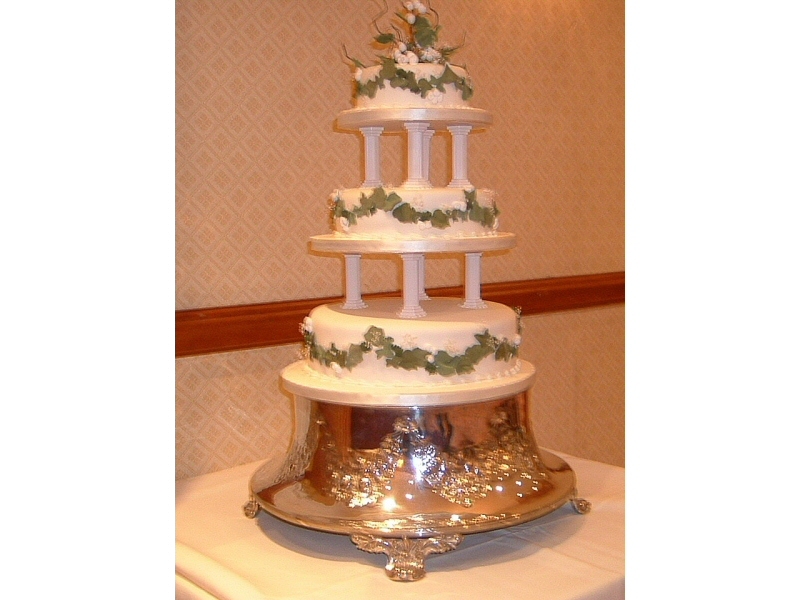 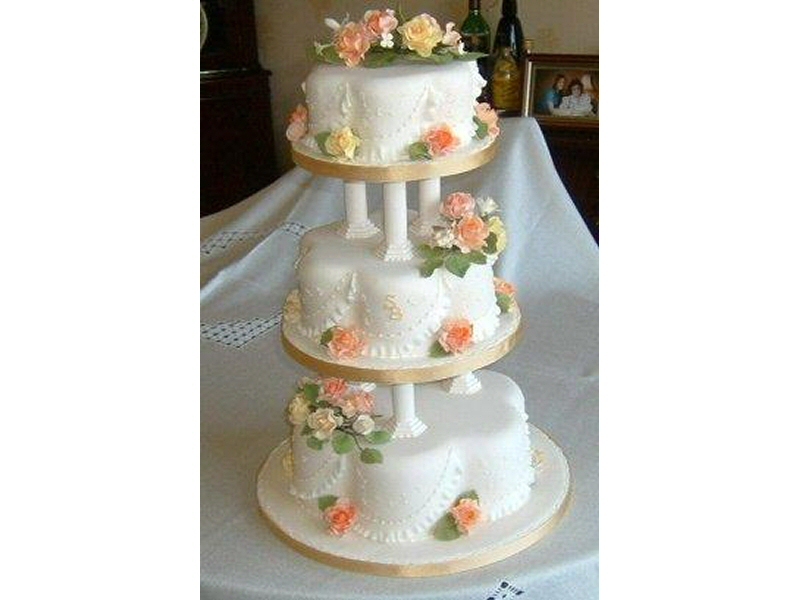 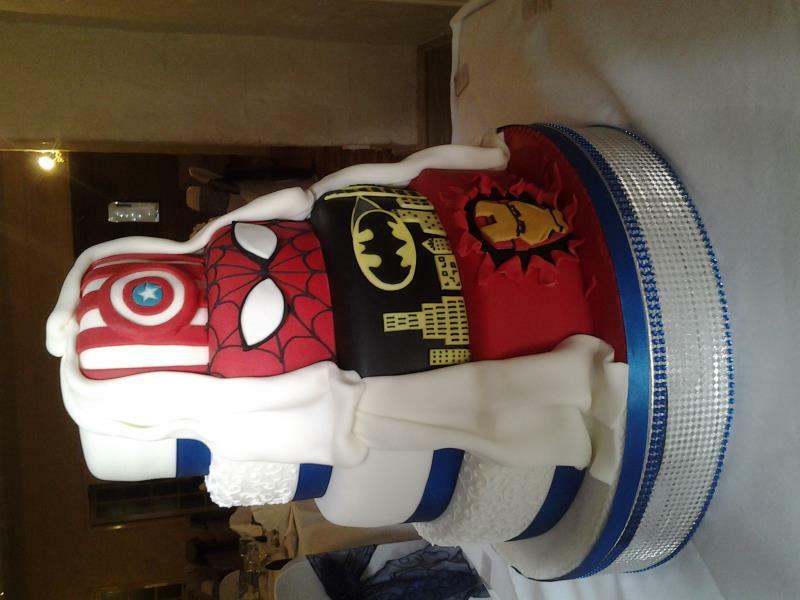 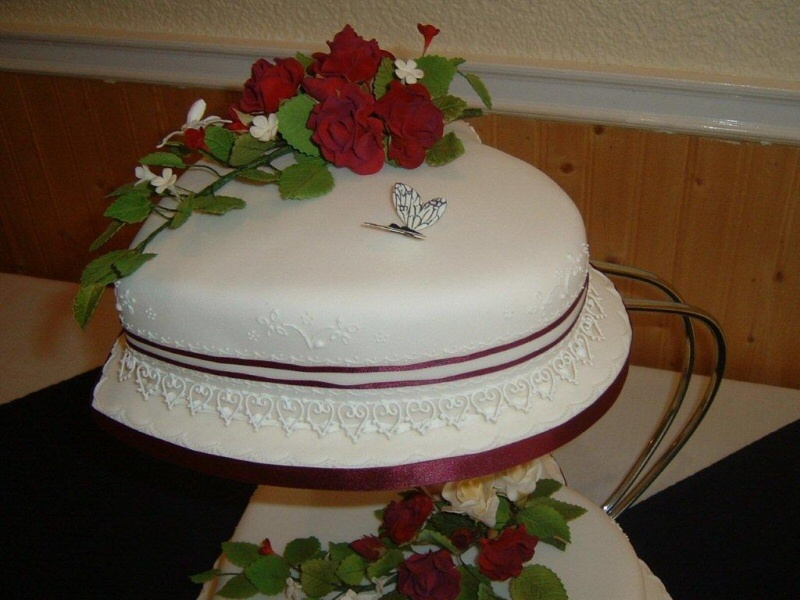 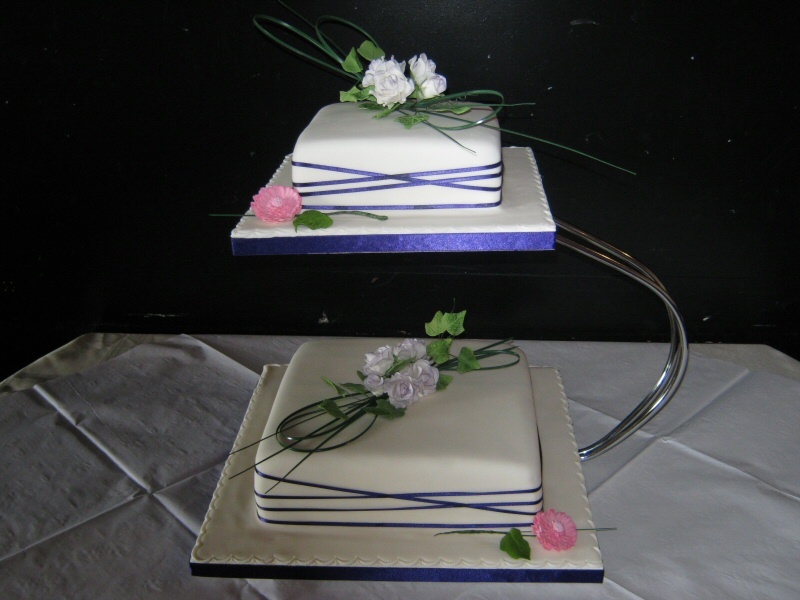 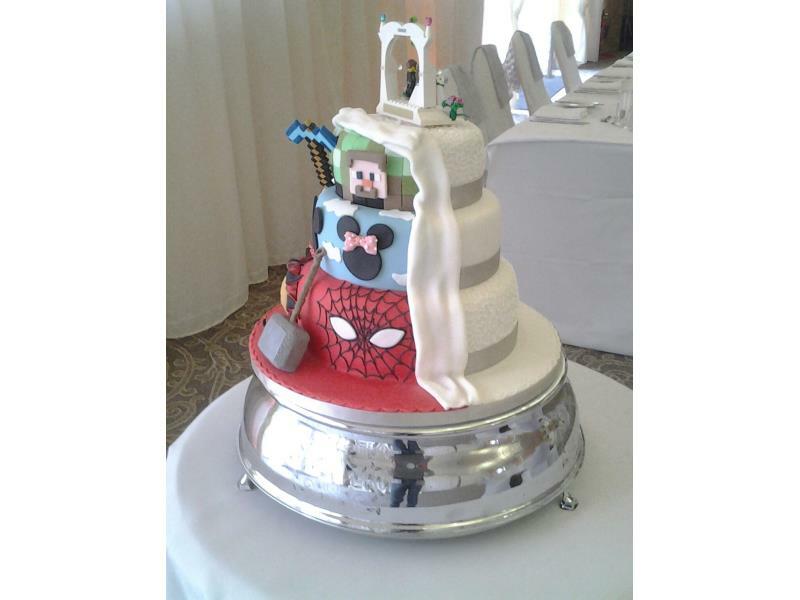 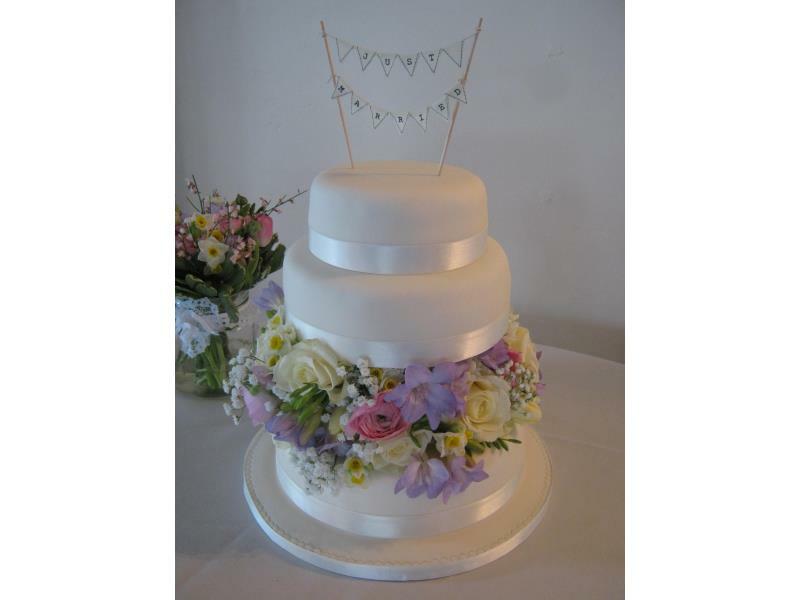 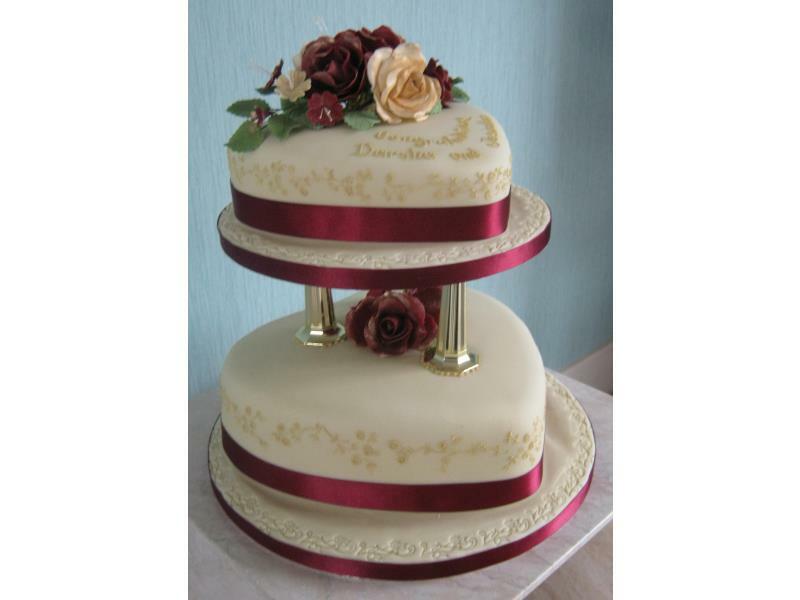 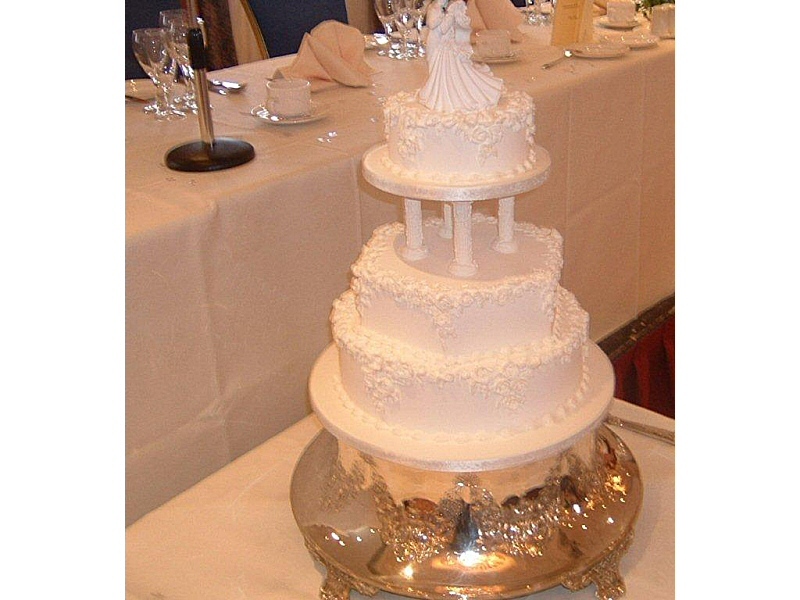 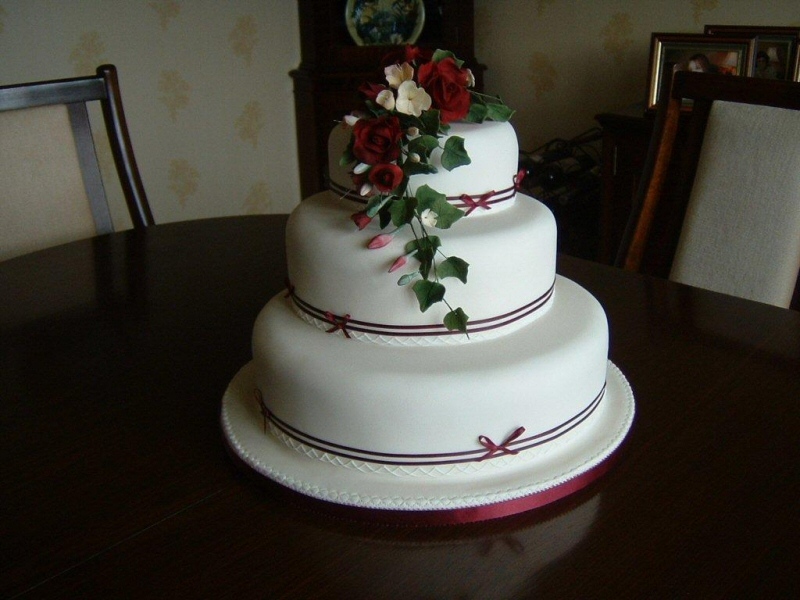 Please take a look at the photo gallery below for a small selection of the Wedding Cakes that I have made over the years. 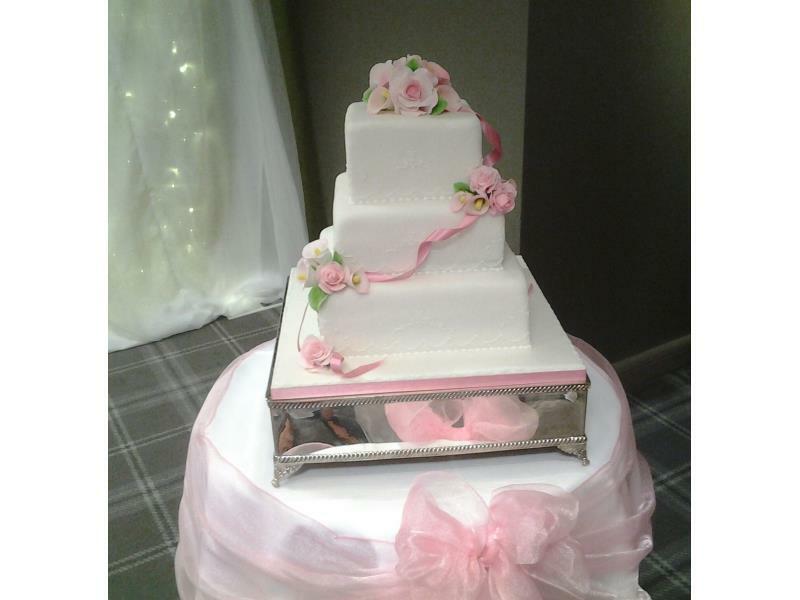 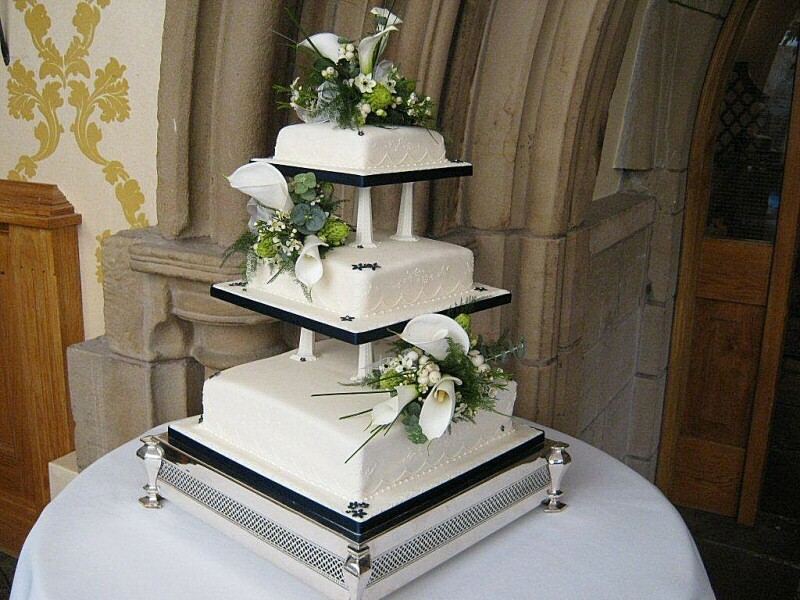 Calla Lillies on 3 tier pink and white wedding cake for Lisa & Alex at Village Hotel Blackpool. 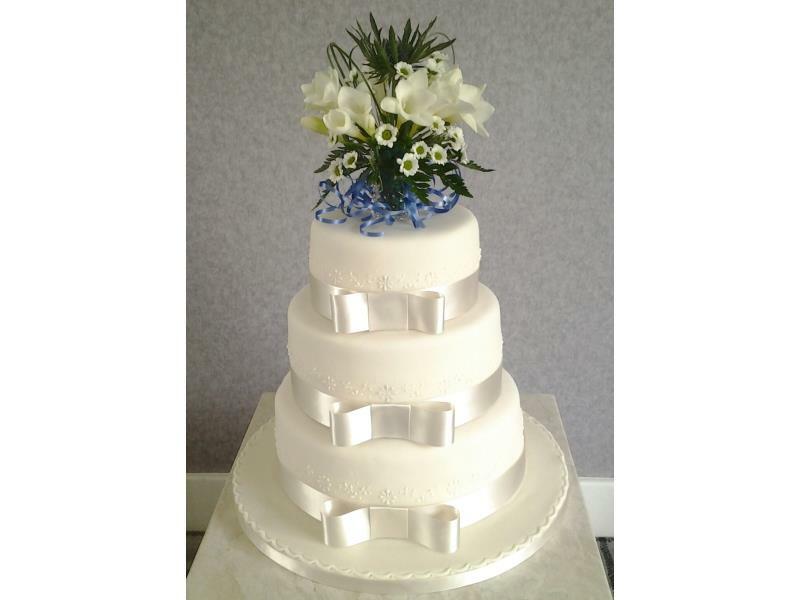 Handmade lillies on vanilla and lemon sponges. 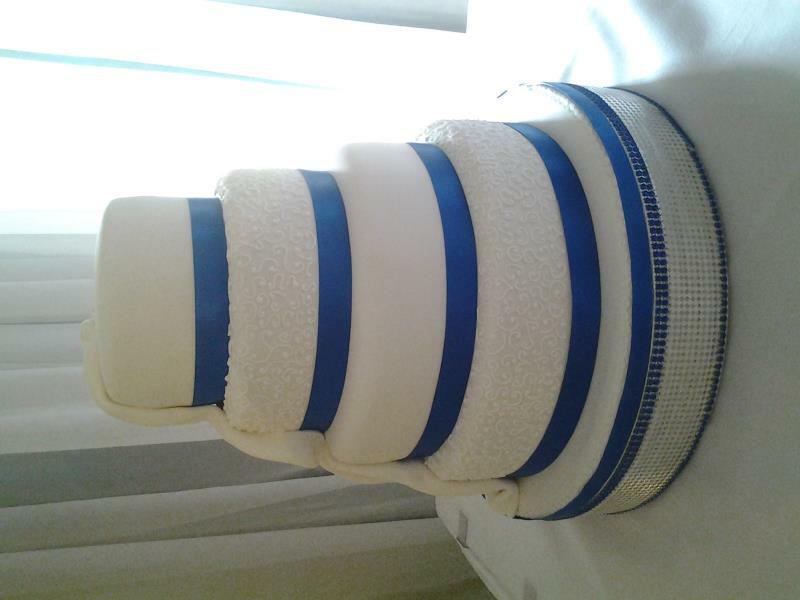 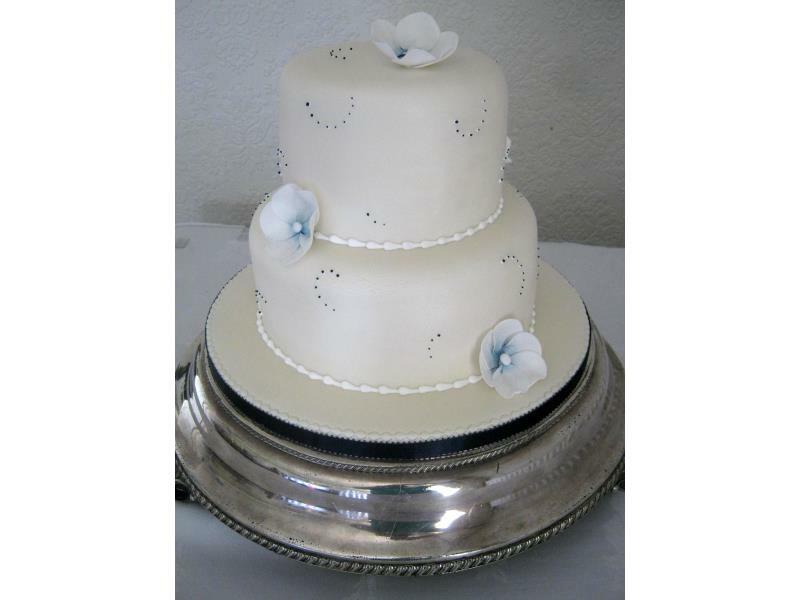 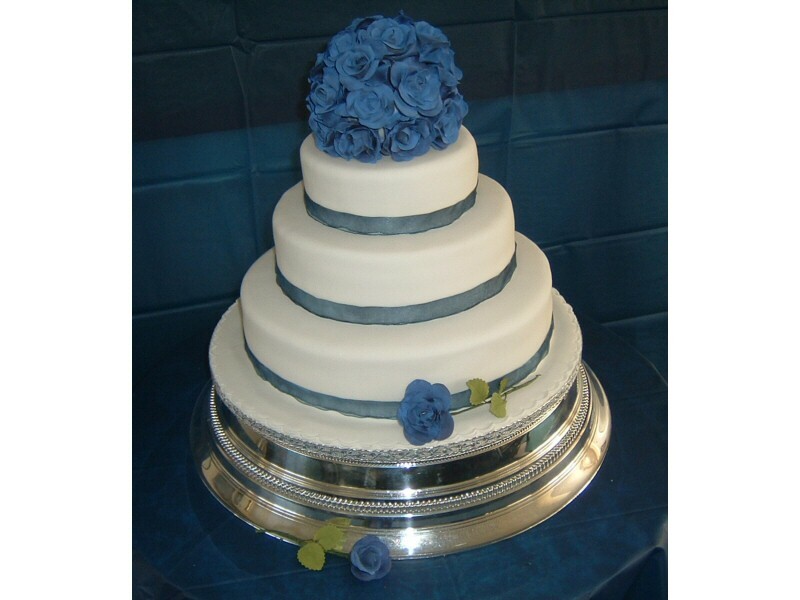 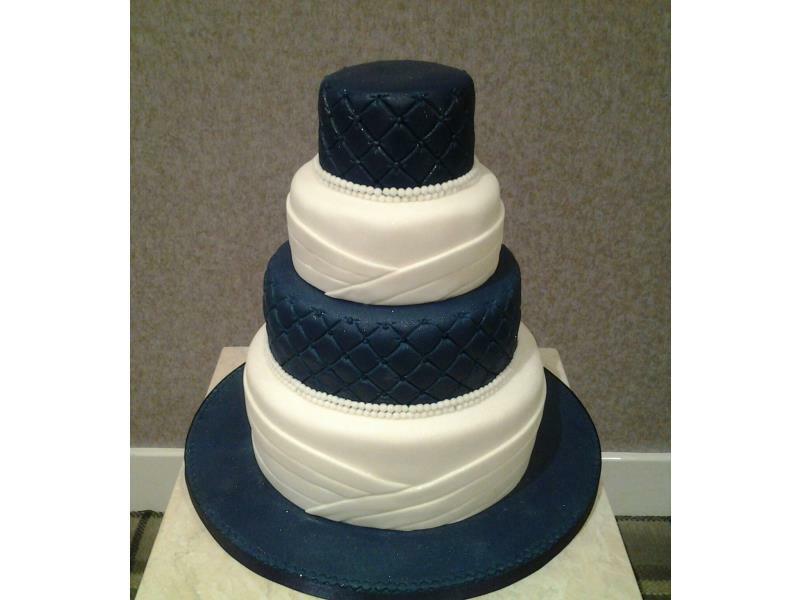 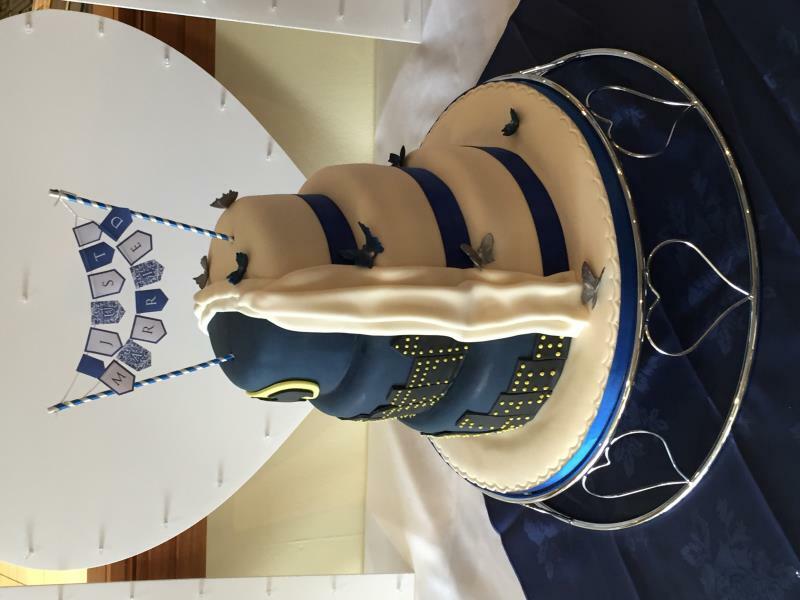 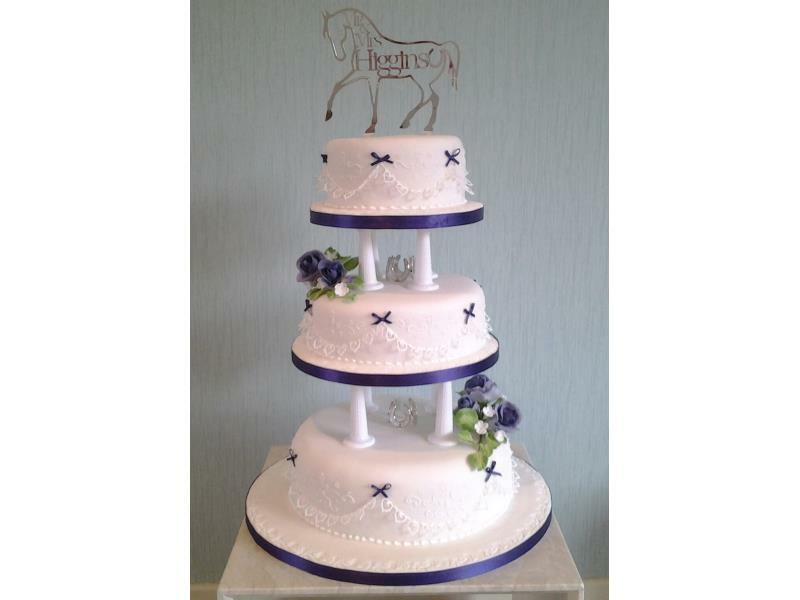 Simplistic royal blue and white 4 tier wedding cake with pearls. 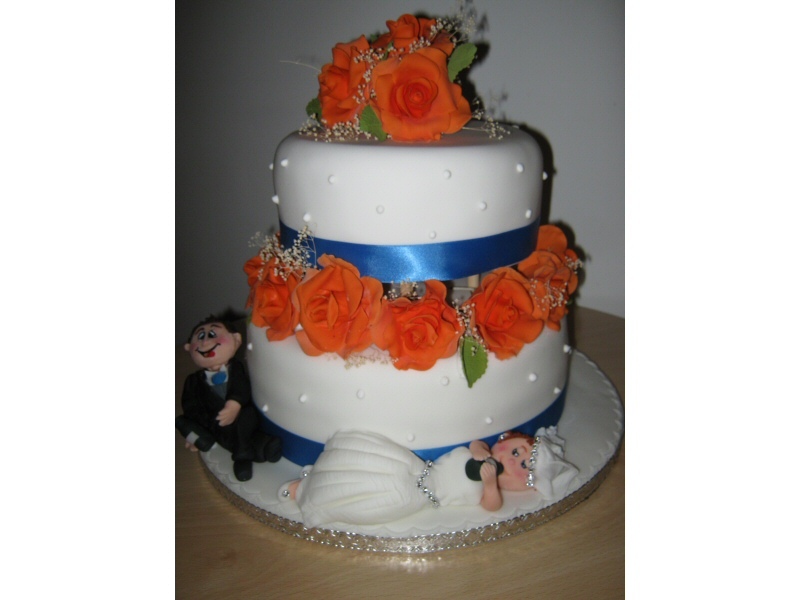 Made in vaniila and chocolate with orange sponges and carrot cake. 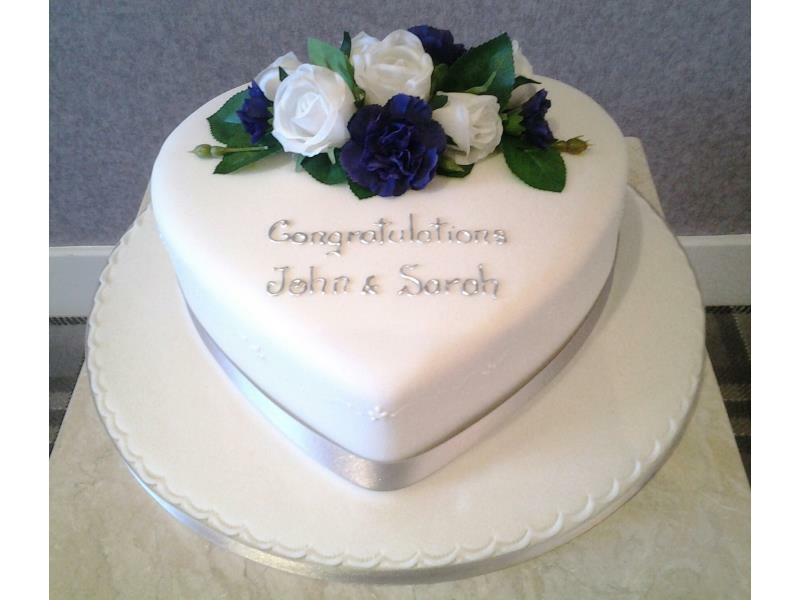 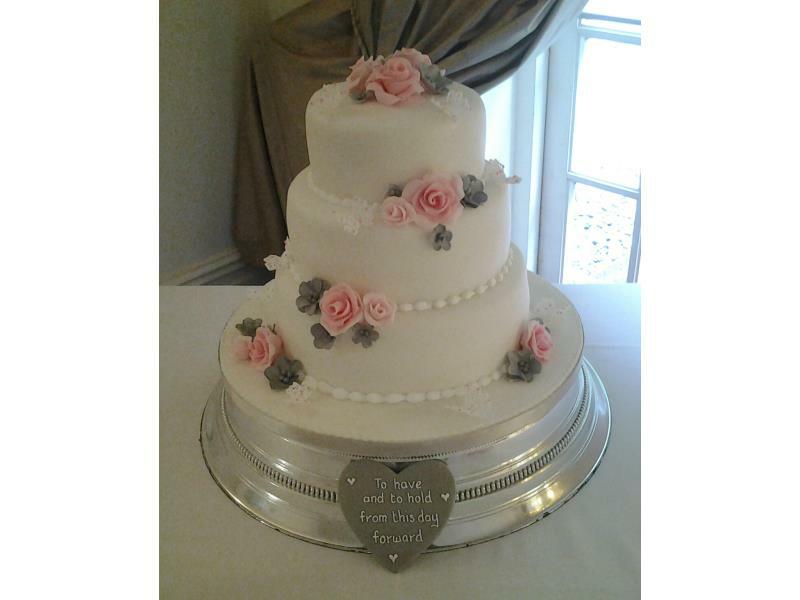 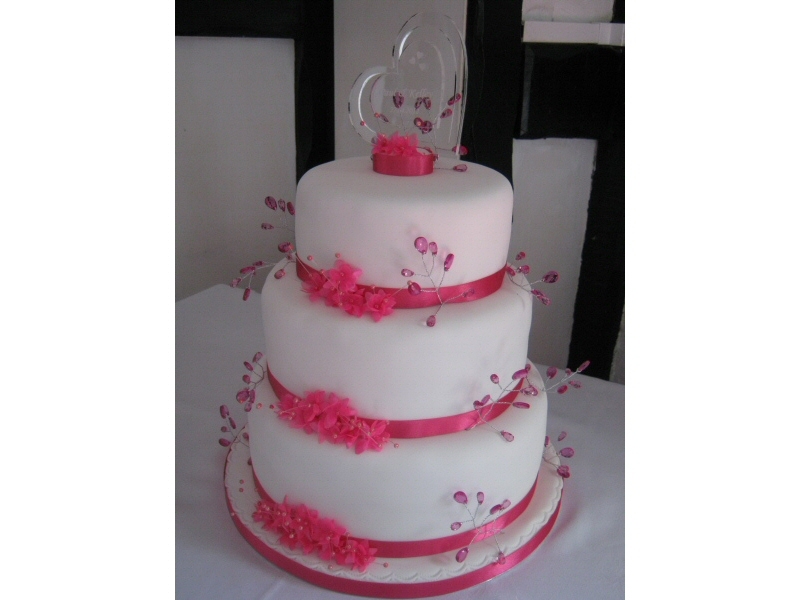 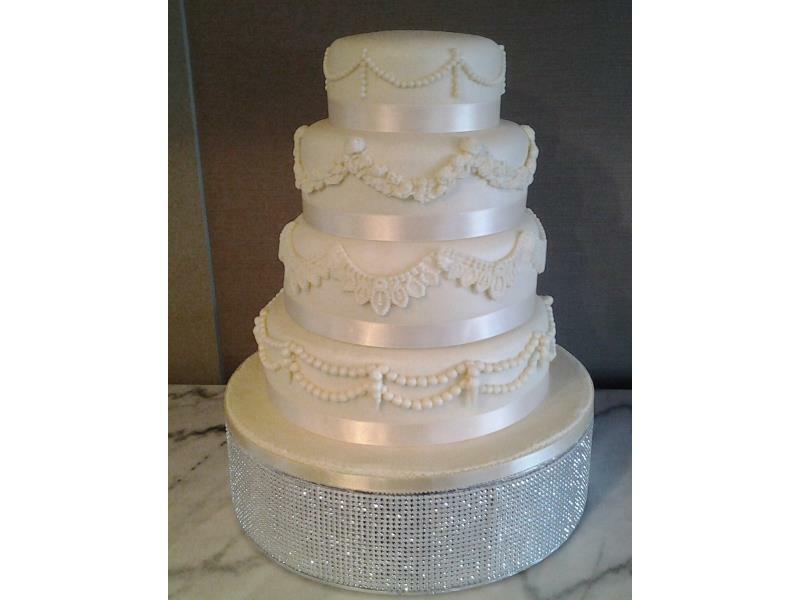 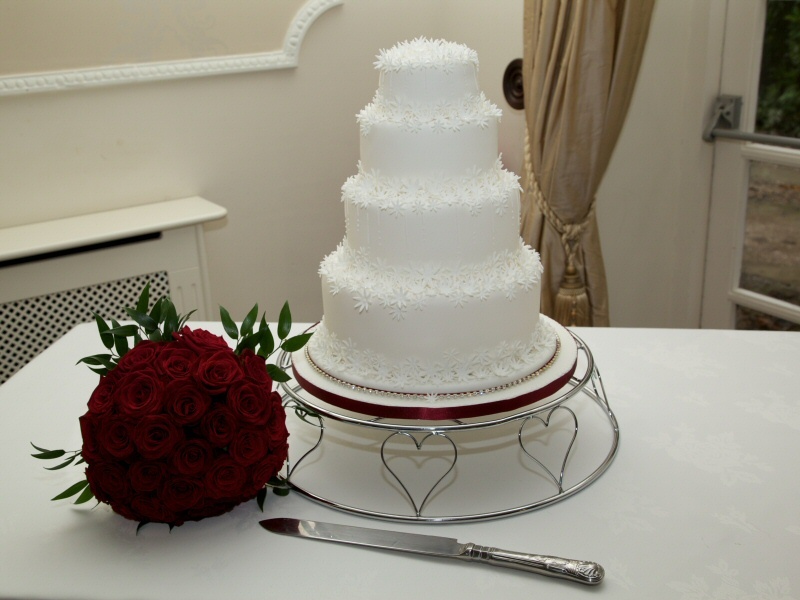 Heart - classy and simple heart shaped wedding cake for John and Sarah in South Shore. 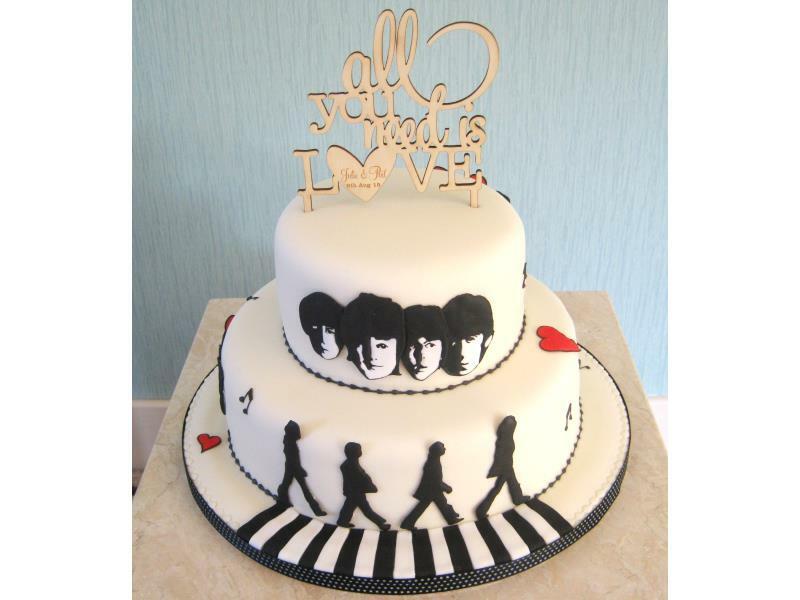 Made from vanilla sponge. 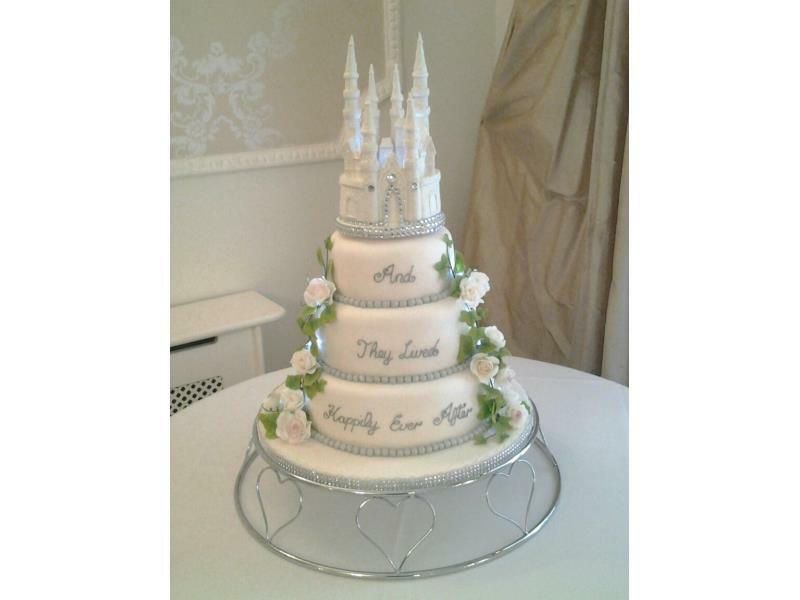 Disney themed wedding cake with castle in 3 tiers of lemon, vanilla and chocolate with orange sponges. 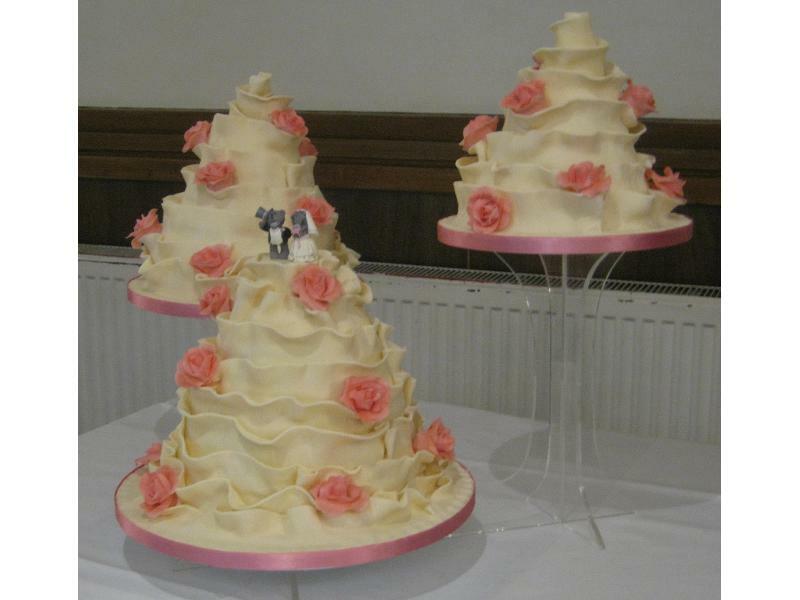 Hannah-Beth - traditional 3 tier wedding cake in sponges and fruit cake for Hannah-Beth's & James' wedding at the Imperial Hotel Blackpool. 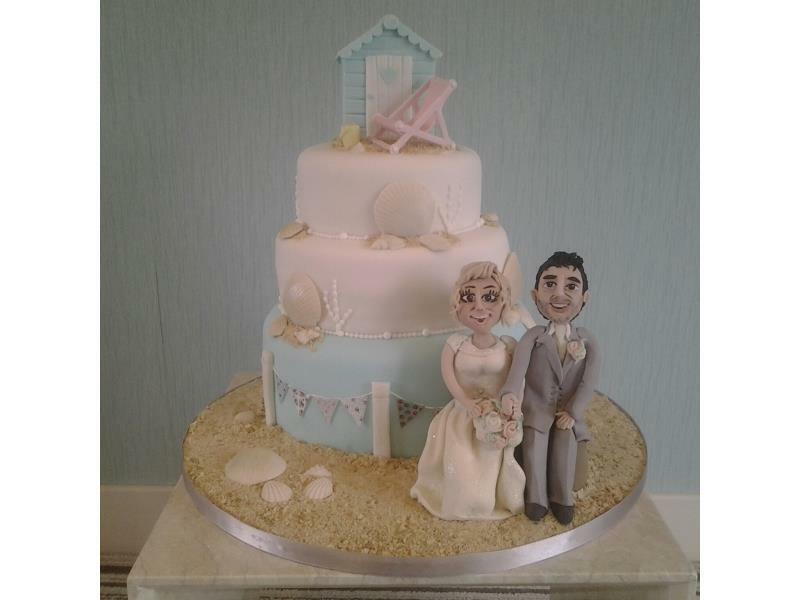 Beach scene - wedding cake with beach hut, deckchair, sand and sea shells for Chantelle's wedding at Ribby Hall, made from chocolate & orange sponge. 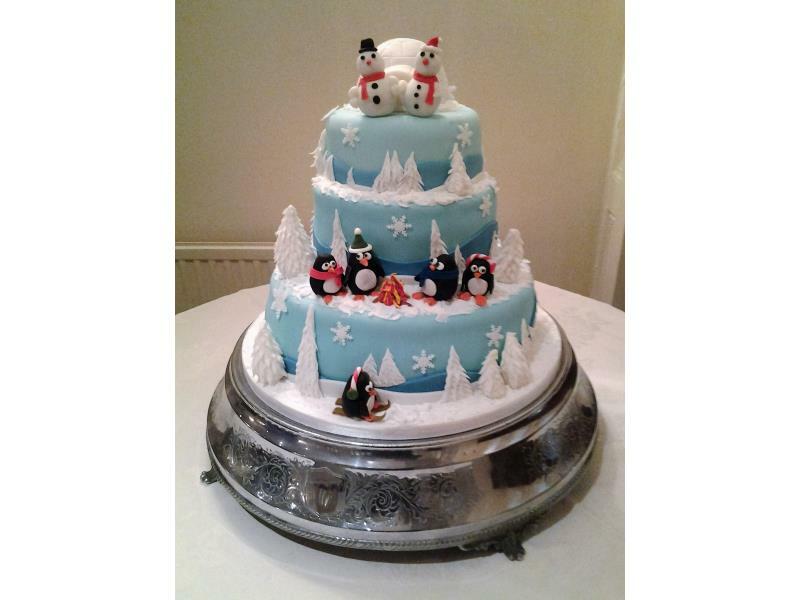 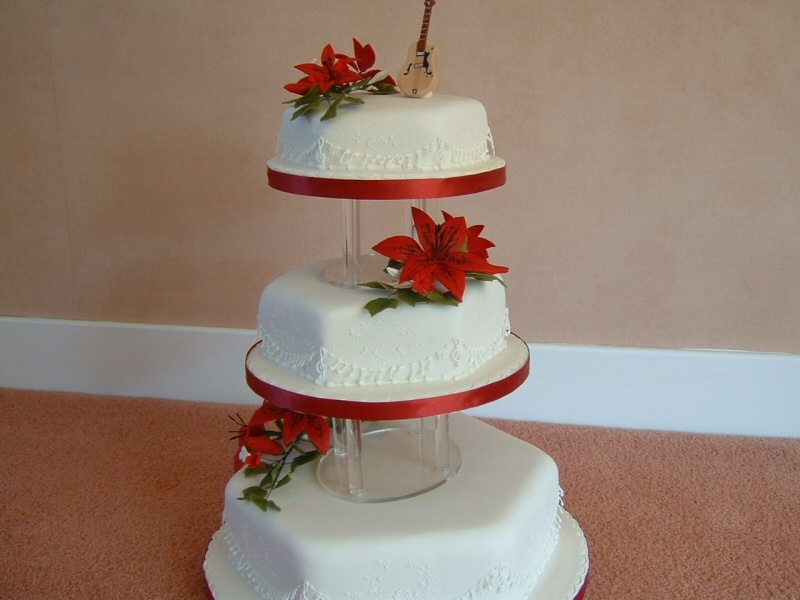 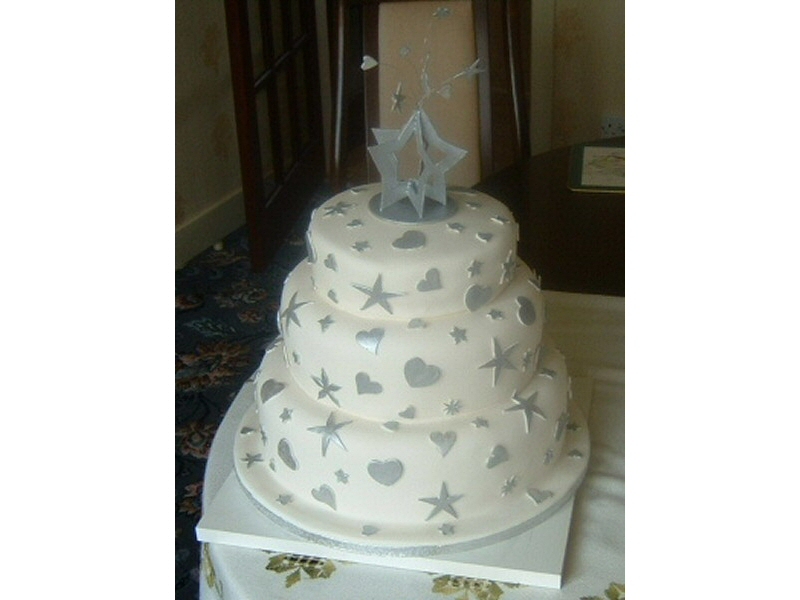 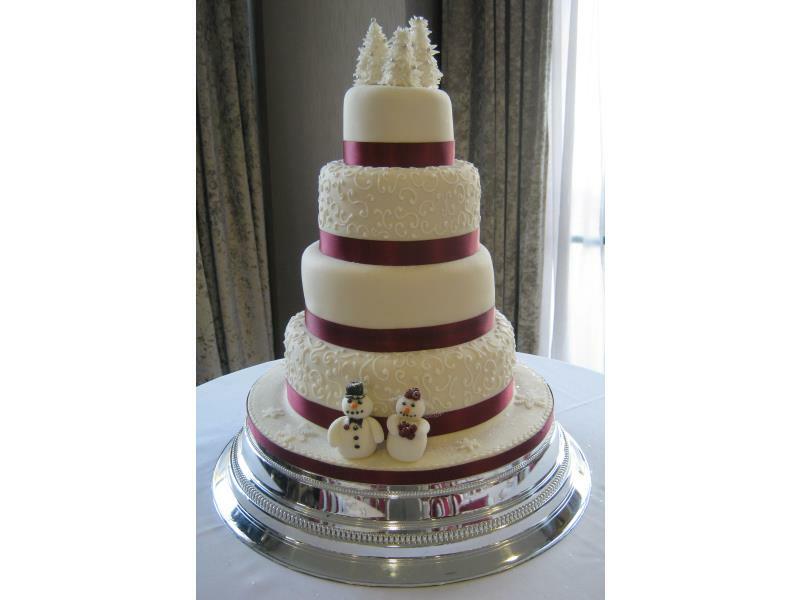 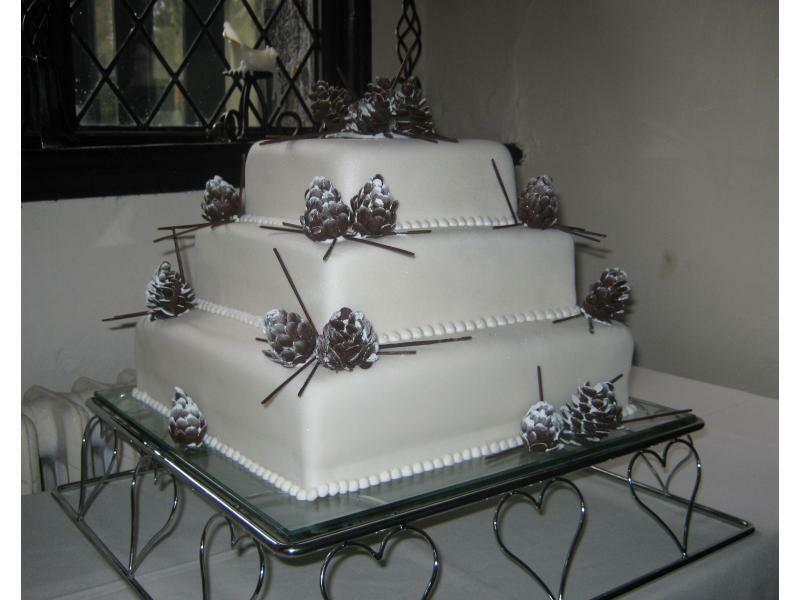 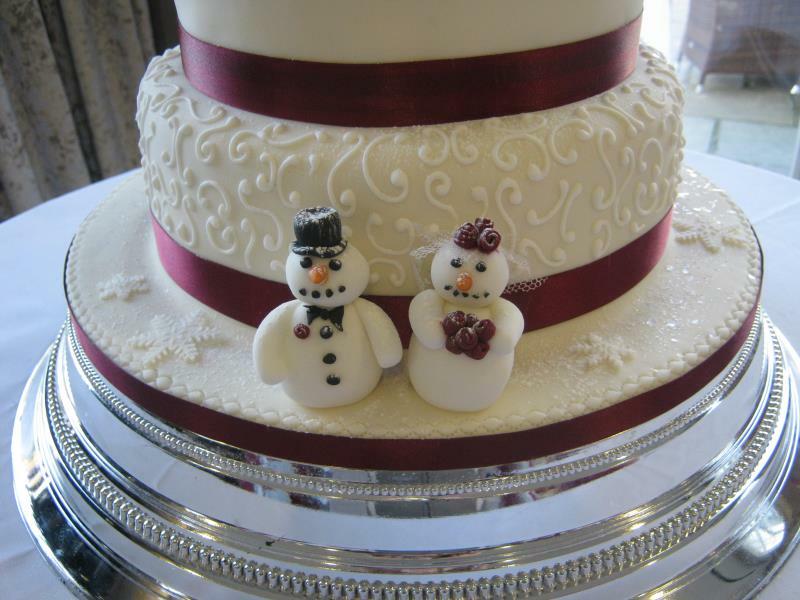 Christmast and winter themed wedding cake with penguins for Elisha and Chris's wedding at Barton Grange, Preston. 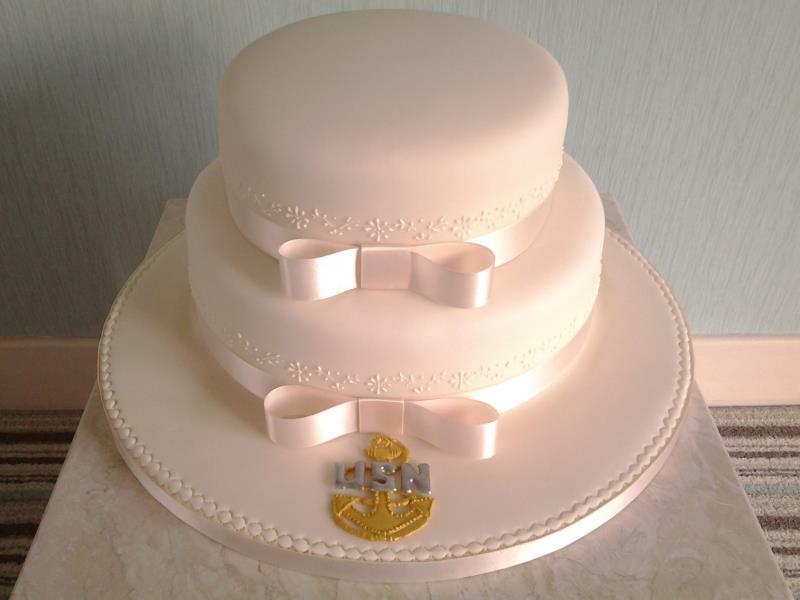 Made from fruit cake, lemon sponge. 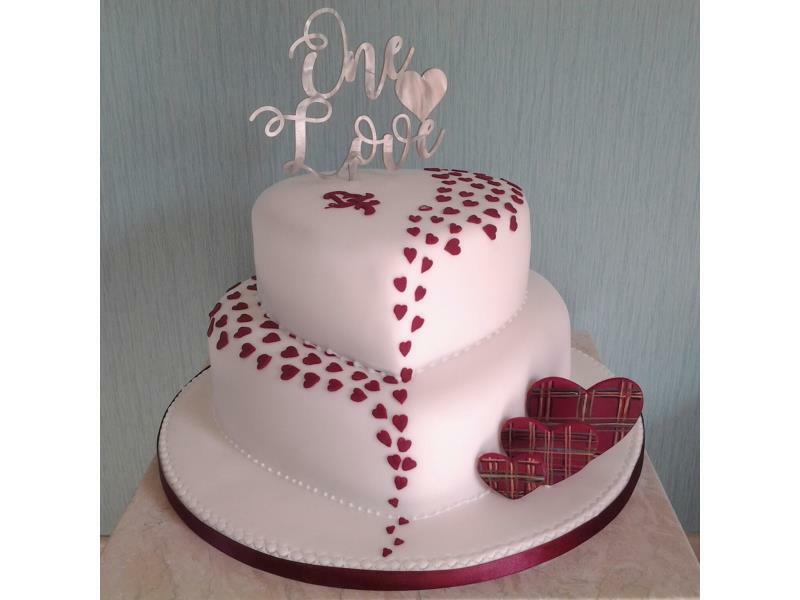 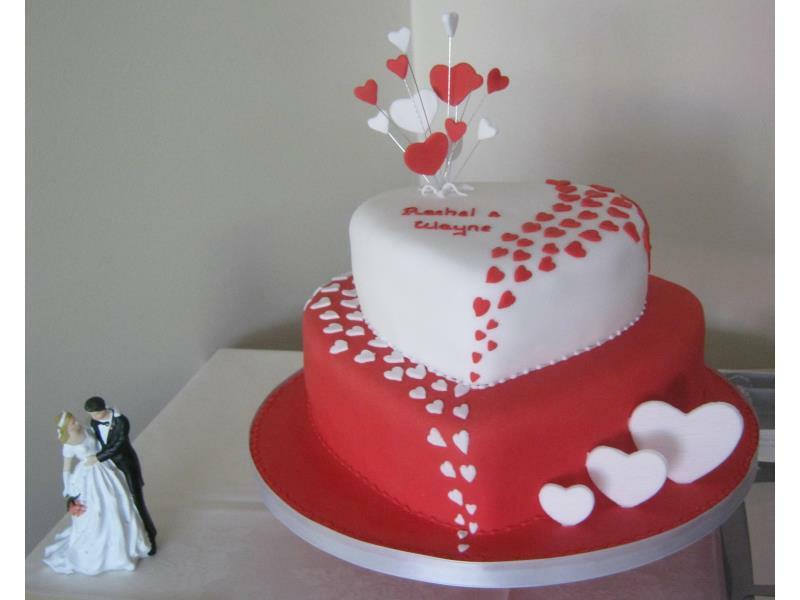 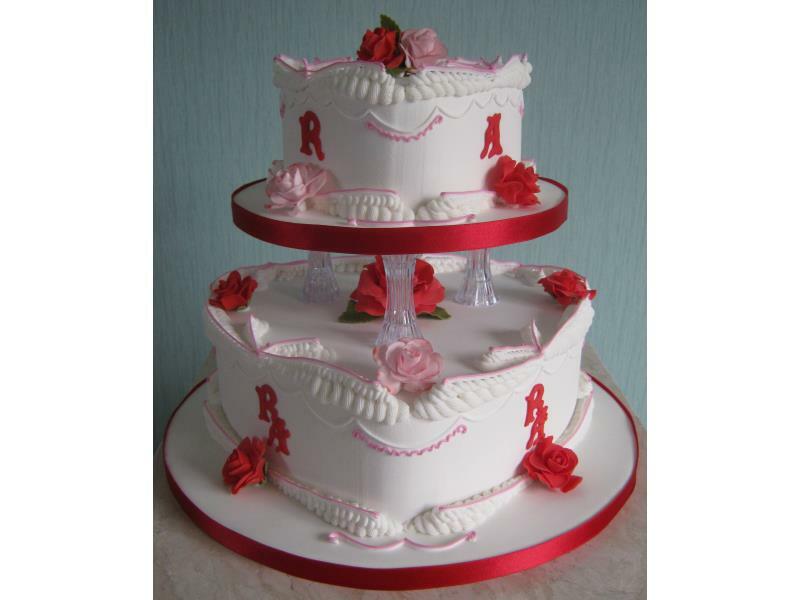 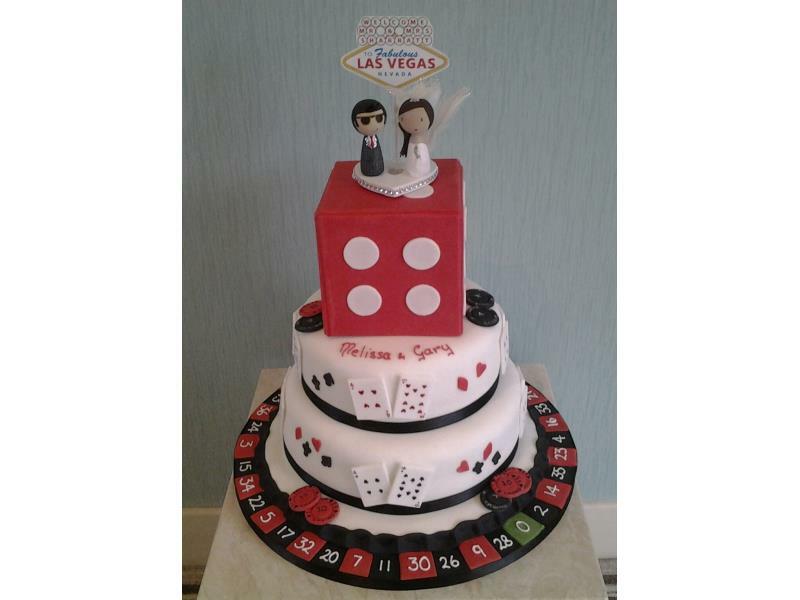 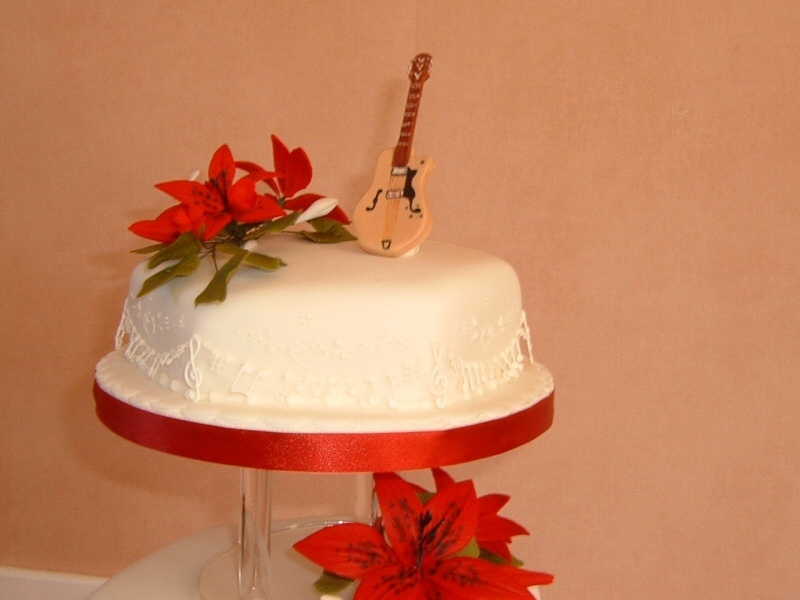 Hearts Galore wedding cake in red and white for Rachel and Wayne in Blackpool, made from plain sponge. 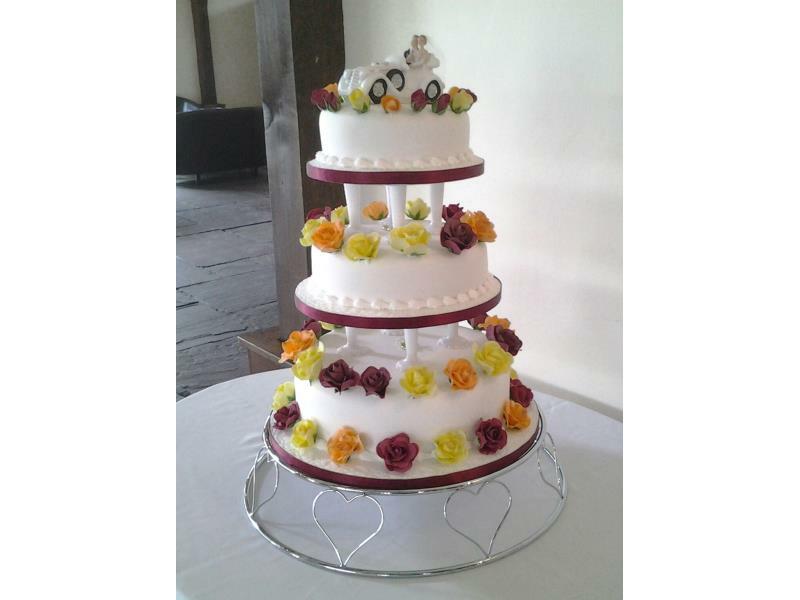 4 tier Burgandy Wedding Cake for Rachel & Stuart at their Reception at #Ribby Hall in #Kirkham, made from plain and lemon sponges and with fruit cake. 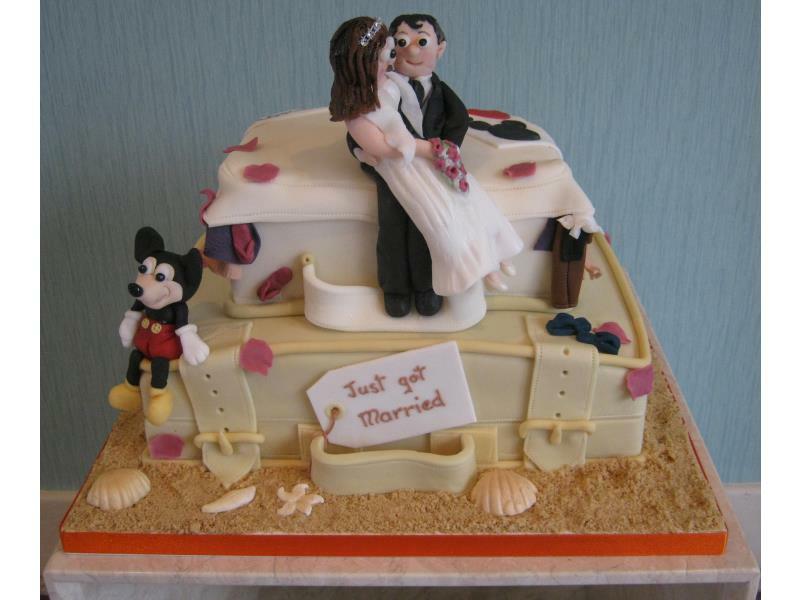 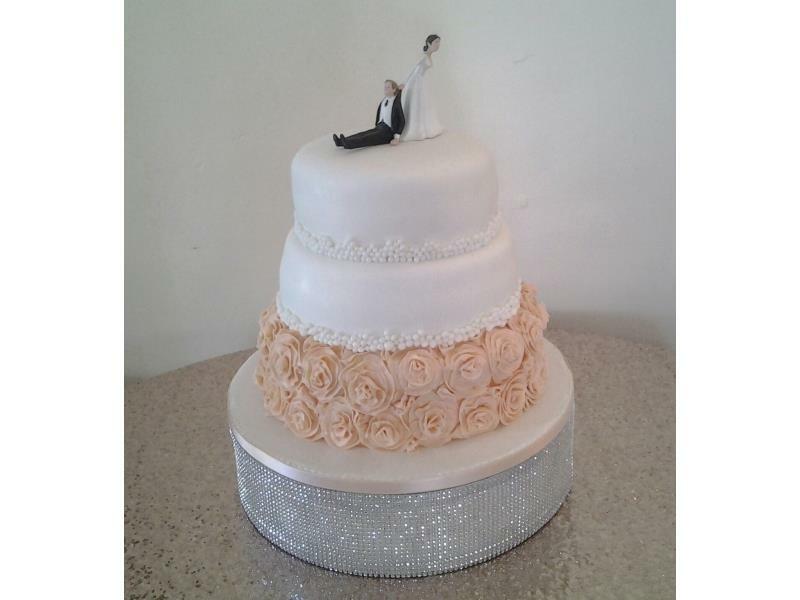 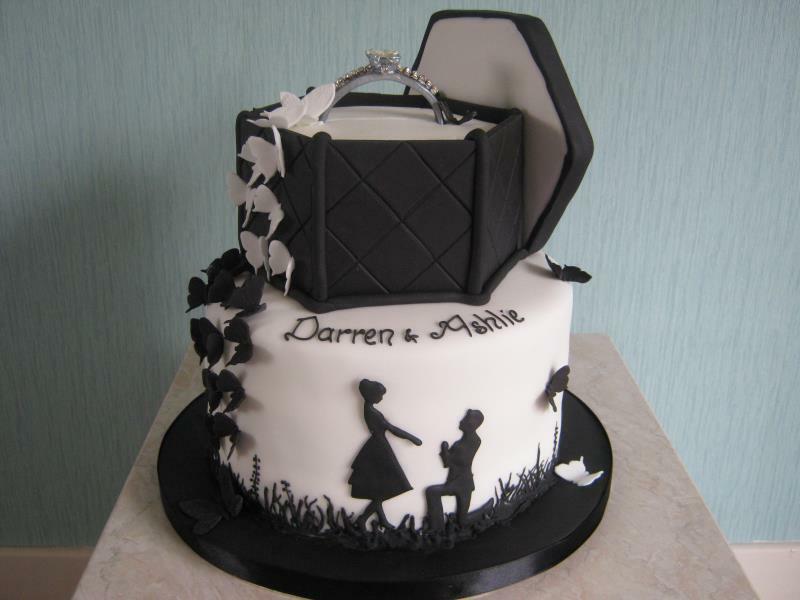 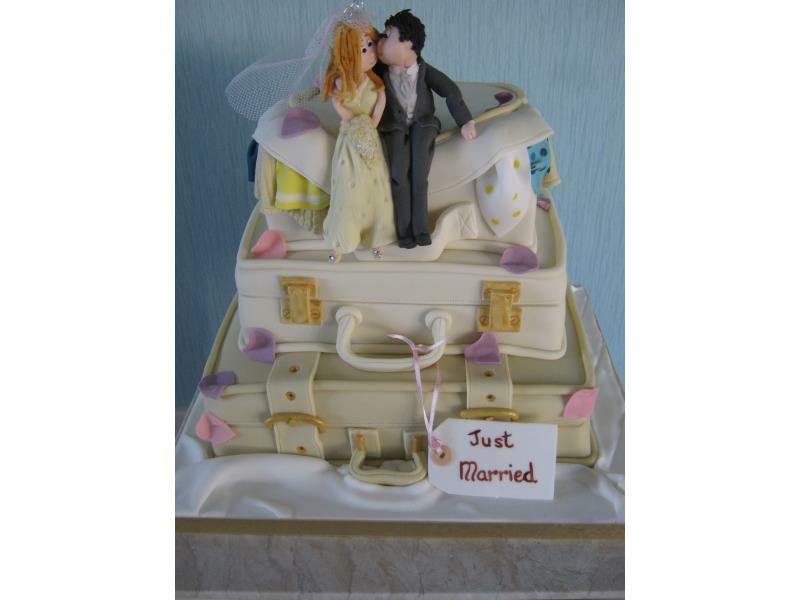 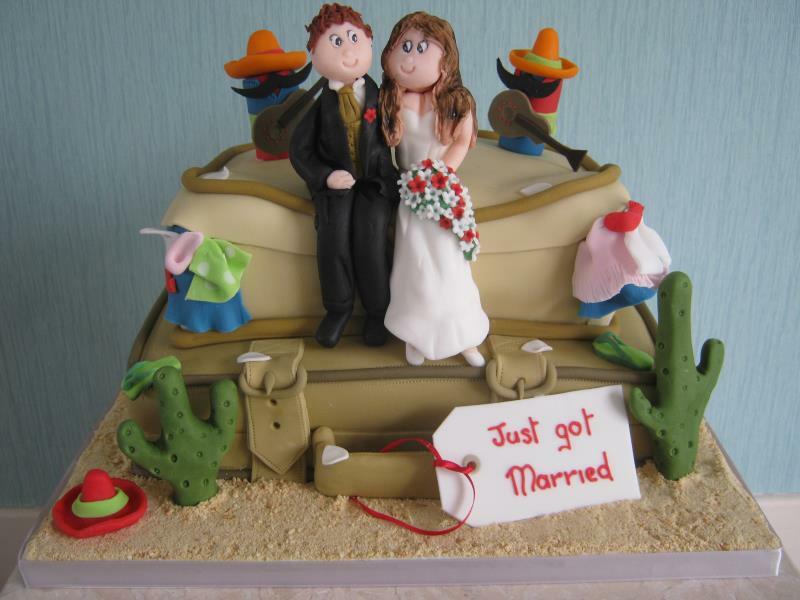 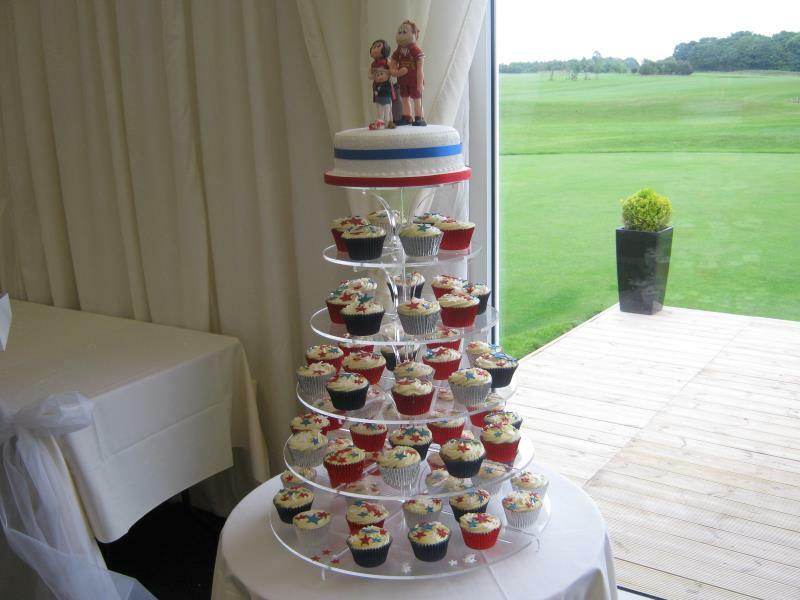 Suitcase Wedding Cake for Louise & Marcus's Reception in #Garstang as a reminder of their Florida wedding. 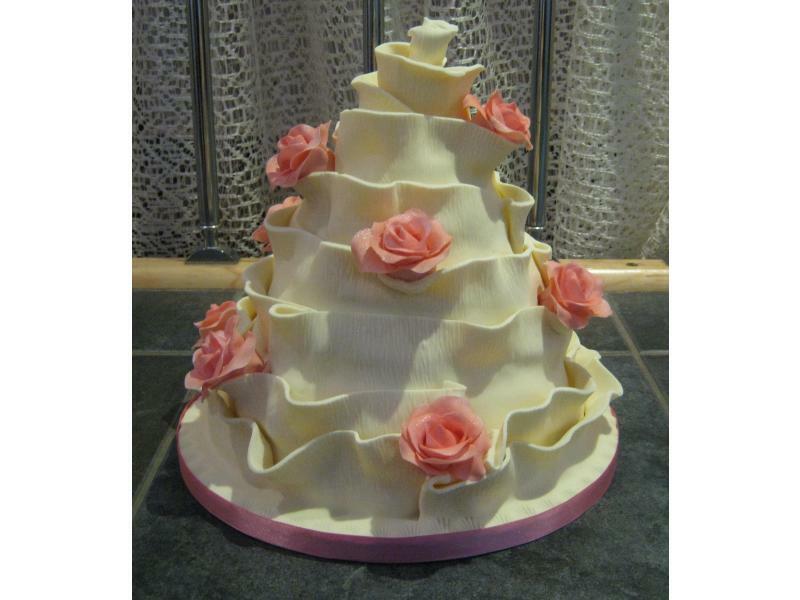 Made from Lemon and plain sponges. 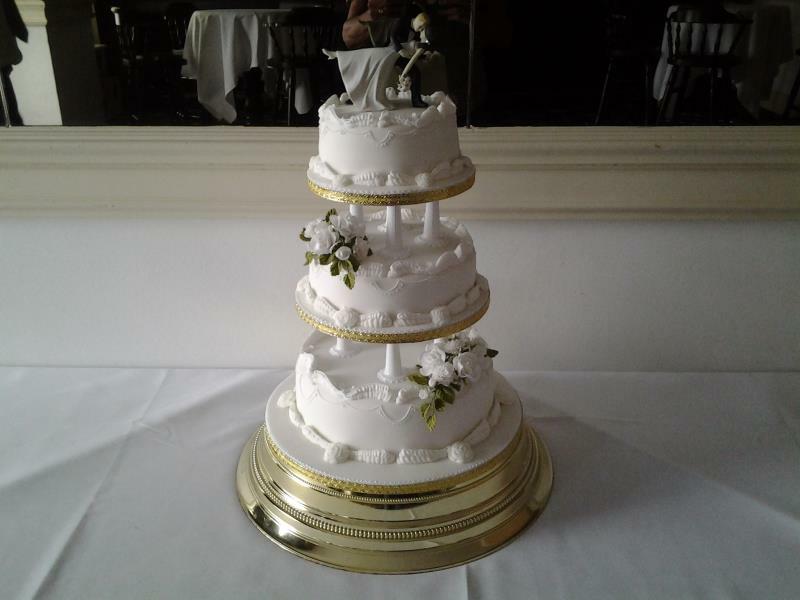 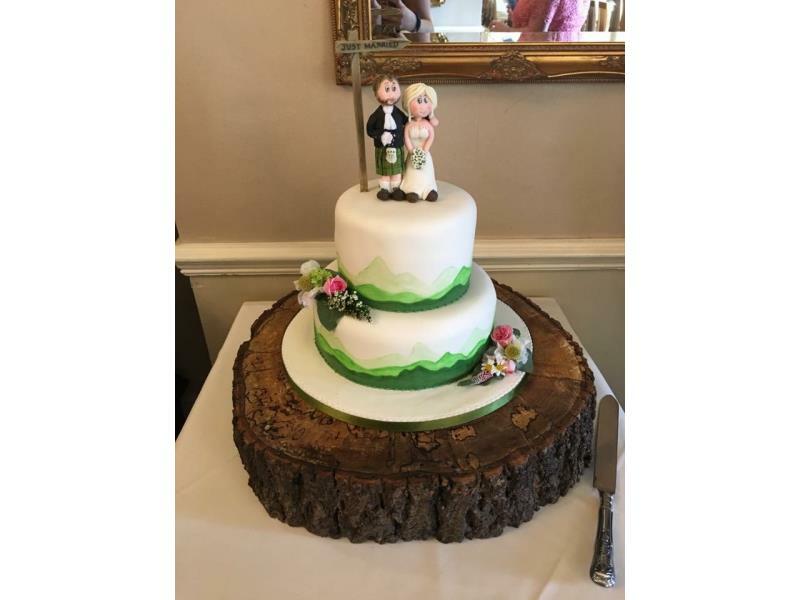 Over The Threshold - Two tier wedding cake with comedy characters for Jennifer and Haydn of Blackpool's wedding at the Ruskin Hotel. 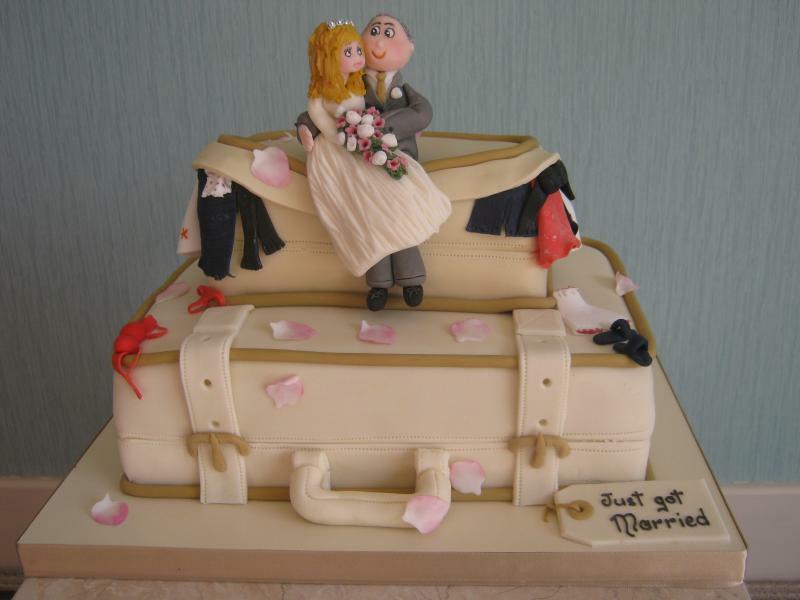 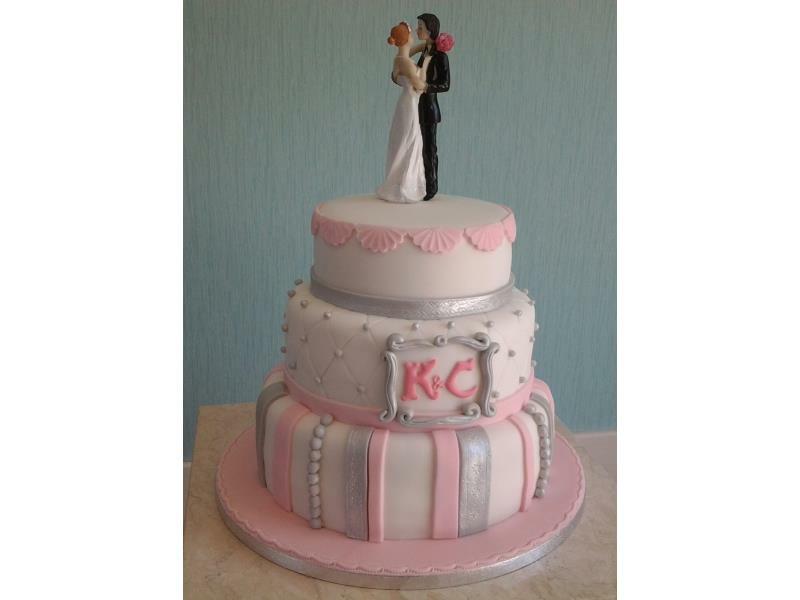 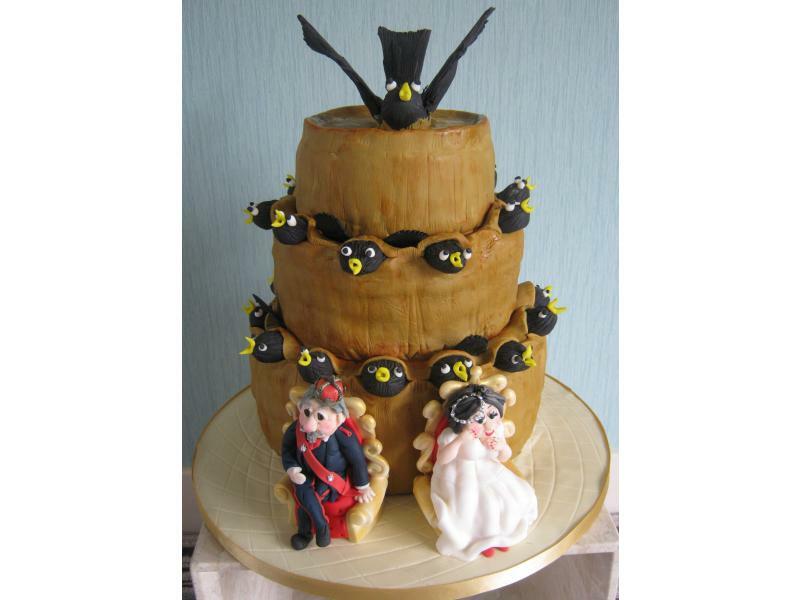 Drunken Wedding - Drunken bride and groom on Kerry and Mark's cake for their reception held at Fleetwood FC. 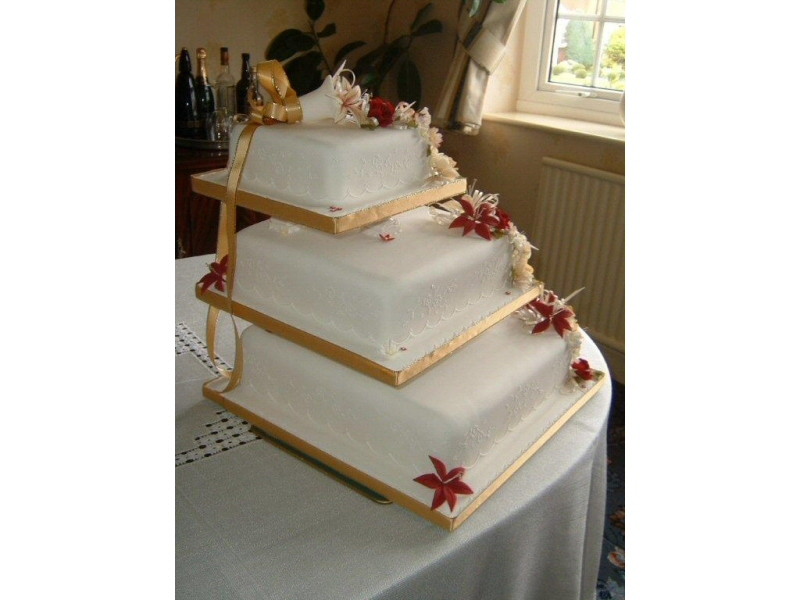 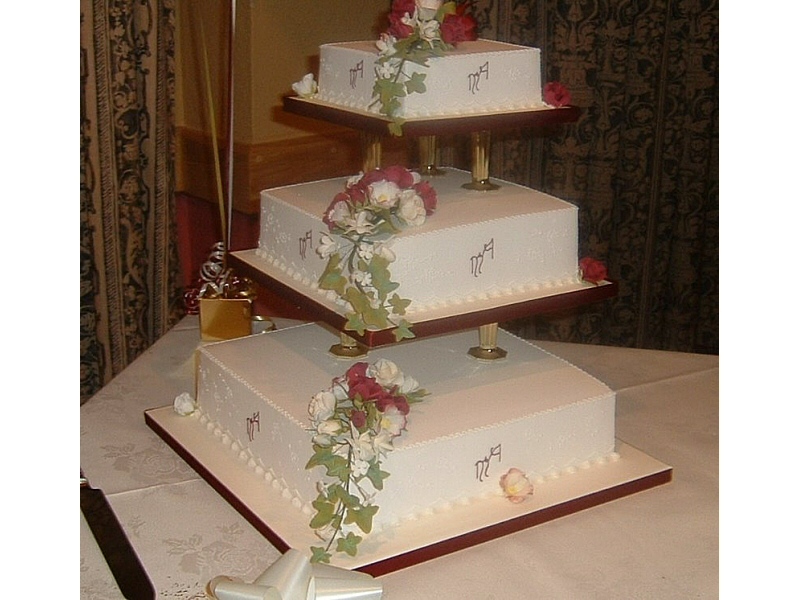 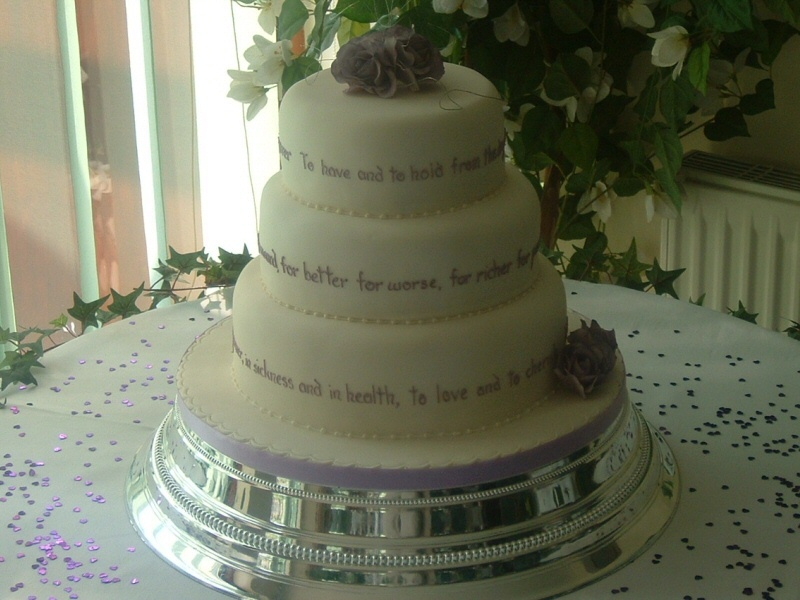 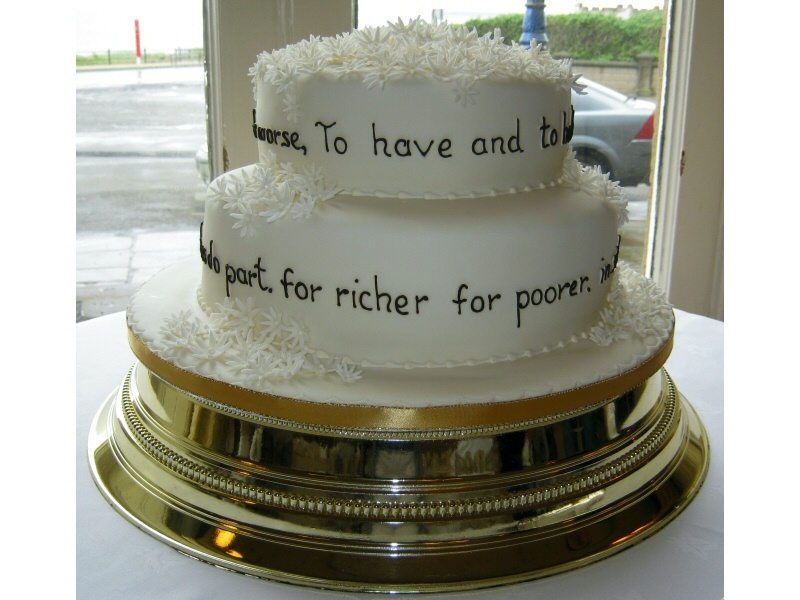 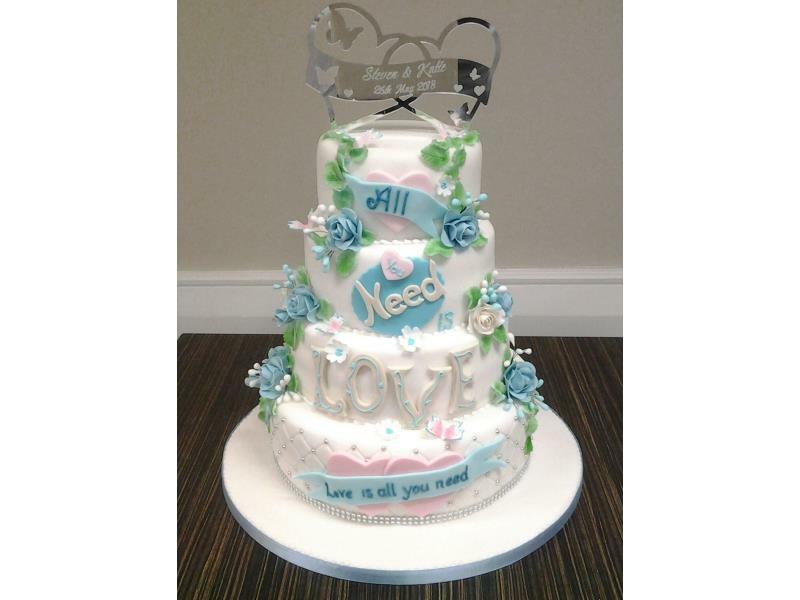 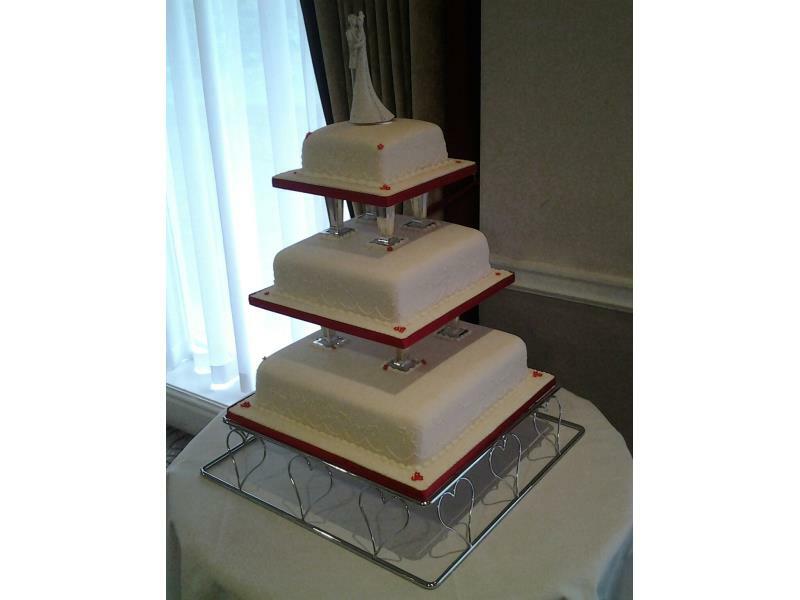 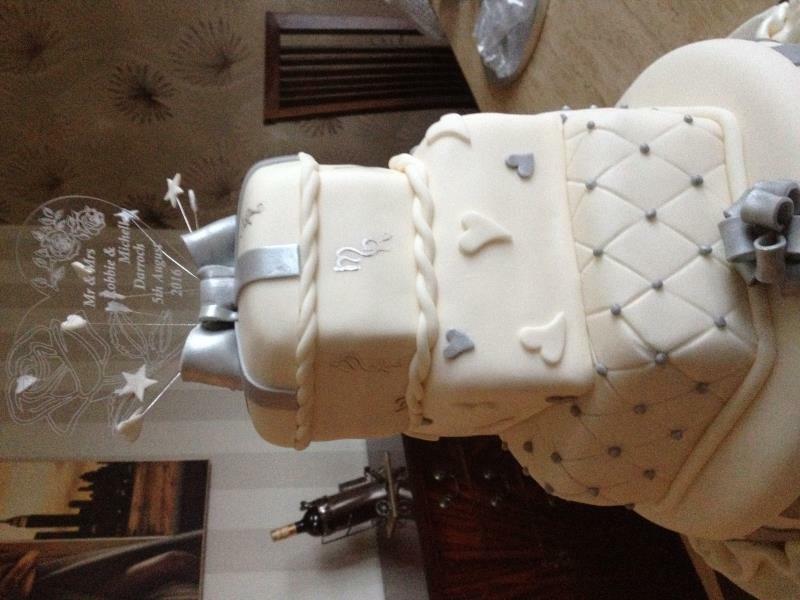 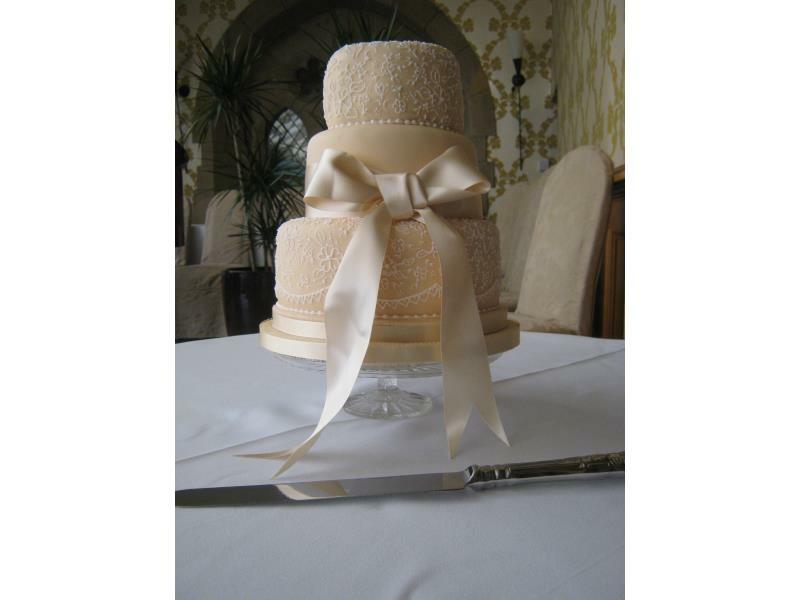 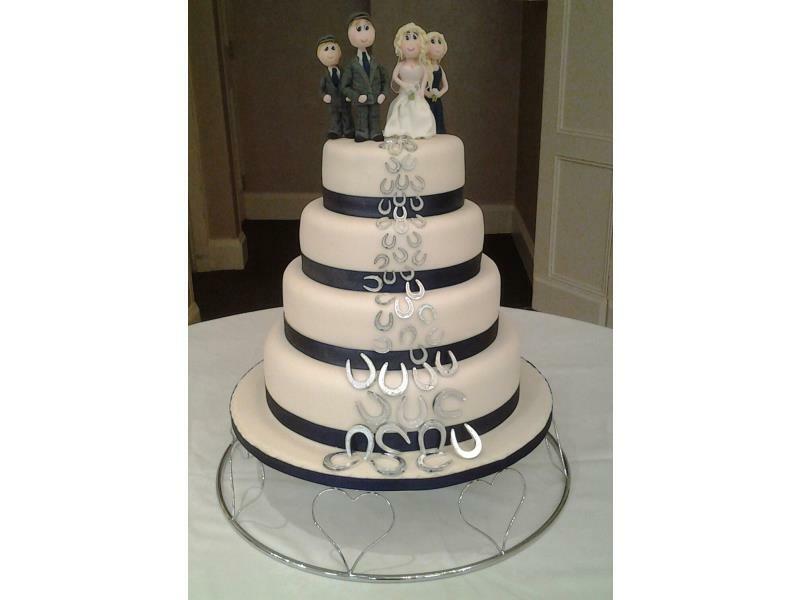 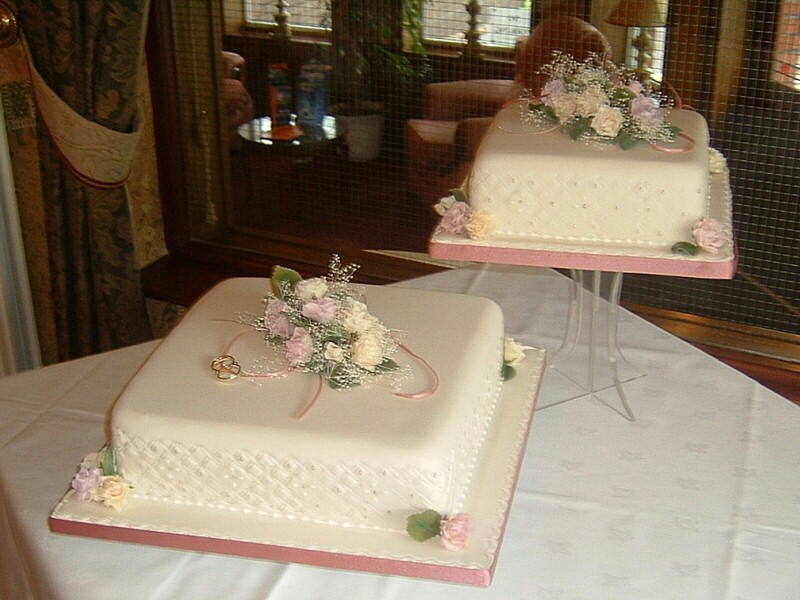 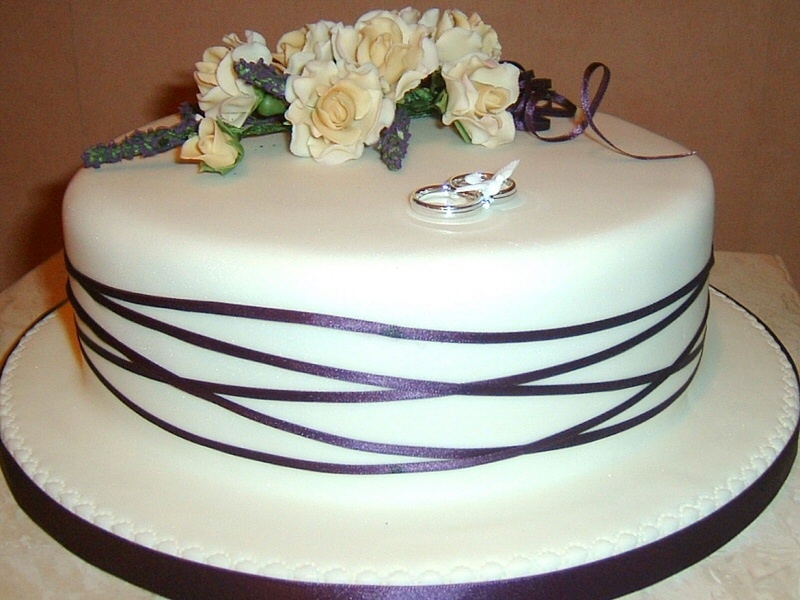 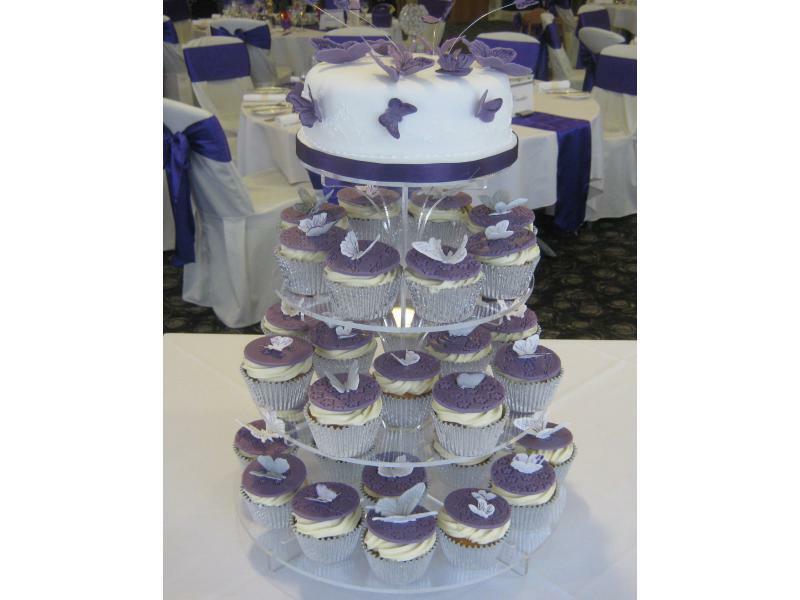 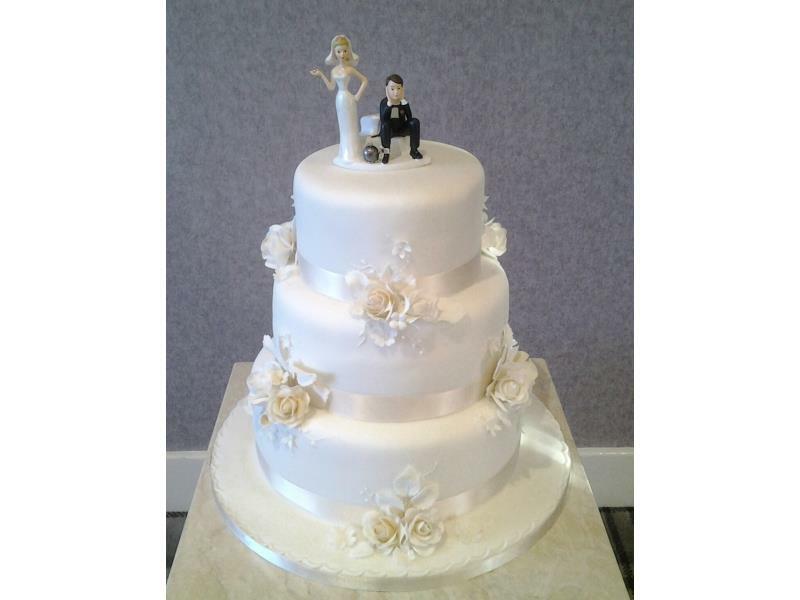 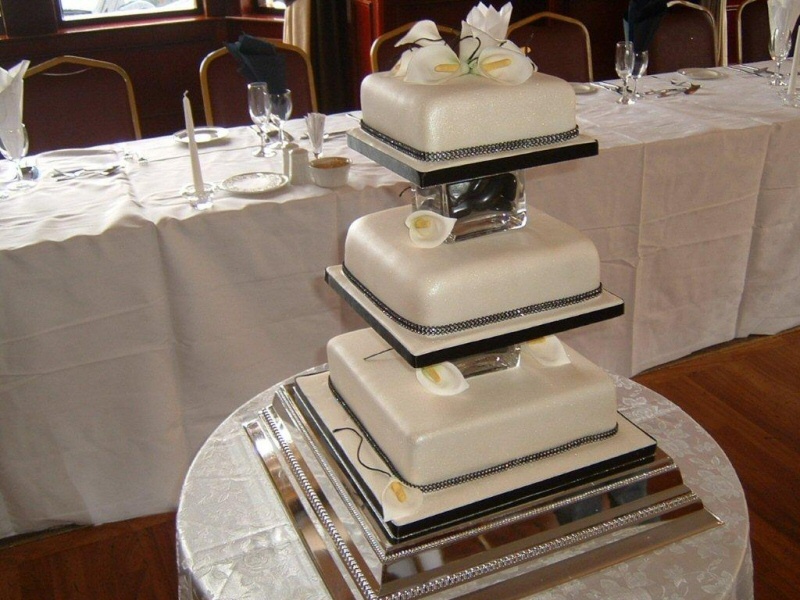 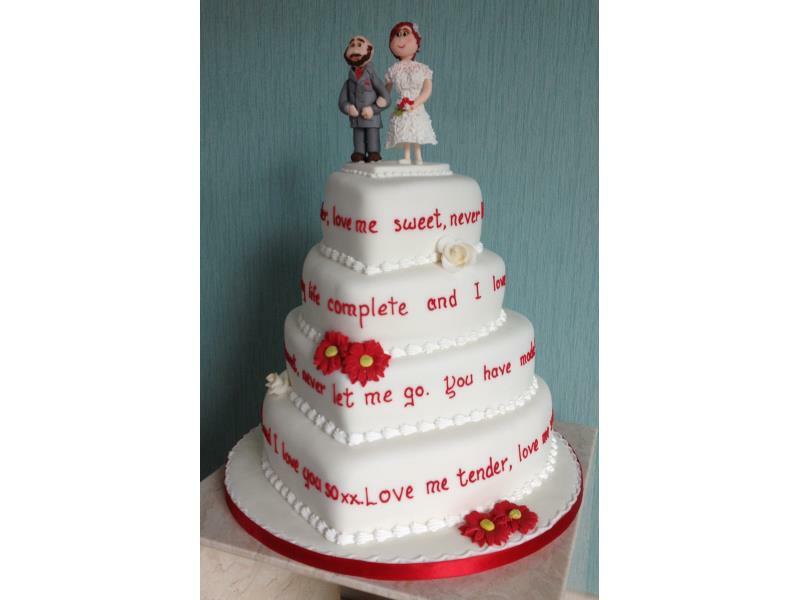 Wedding Vows - 2 tier sponge cake adorned with vows for Sian & Brian for their wedding at North Euston Hotel, Fleetwood.